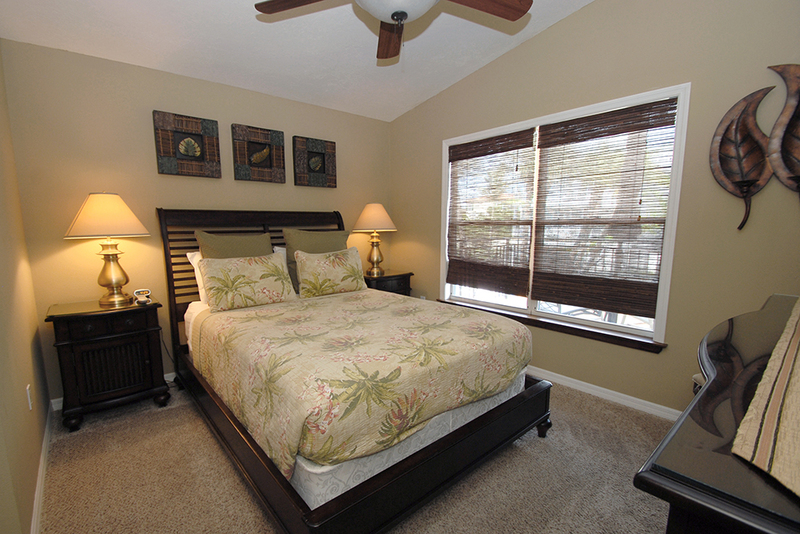 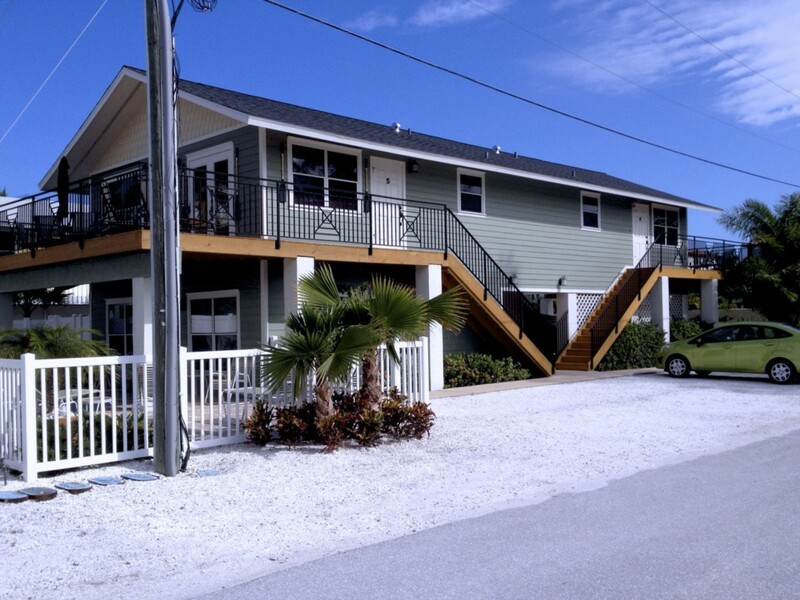 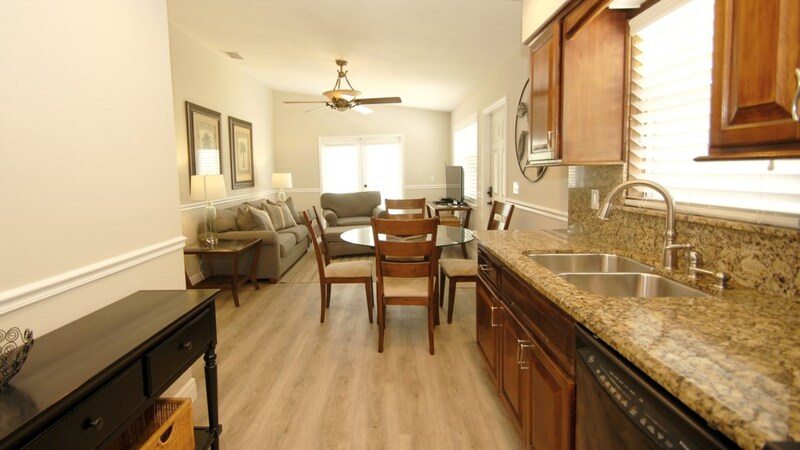 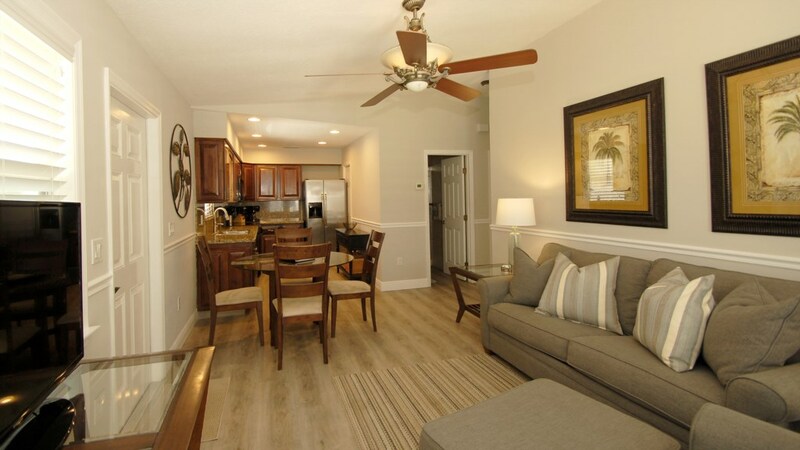 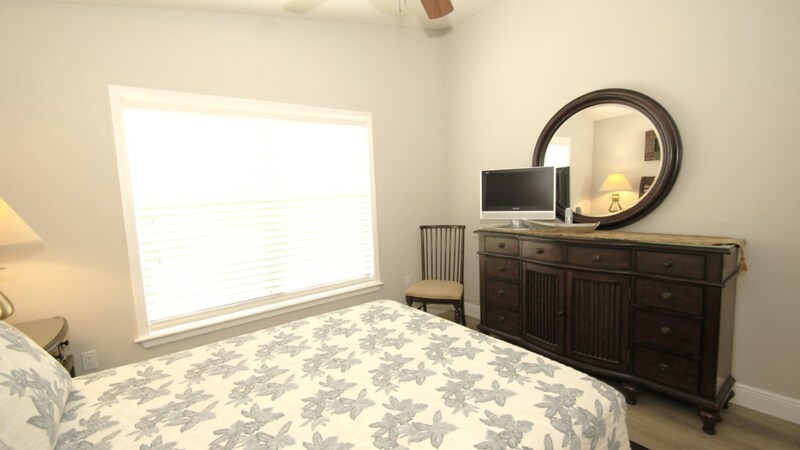 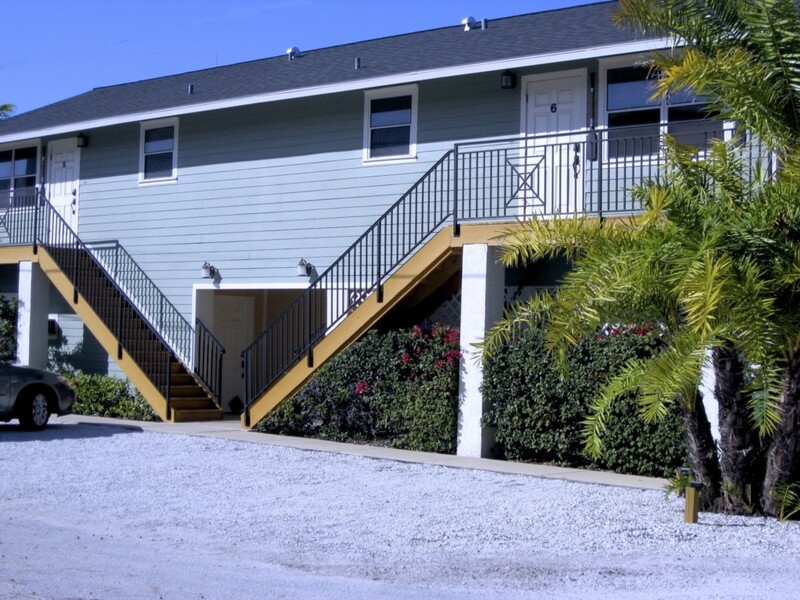 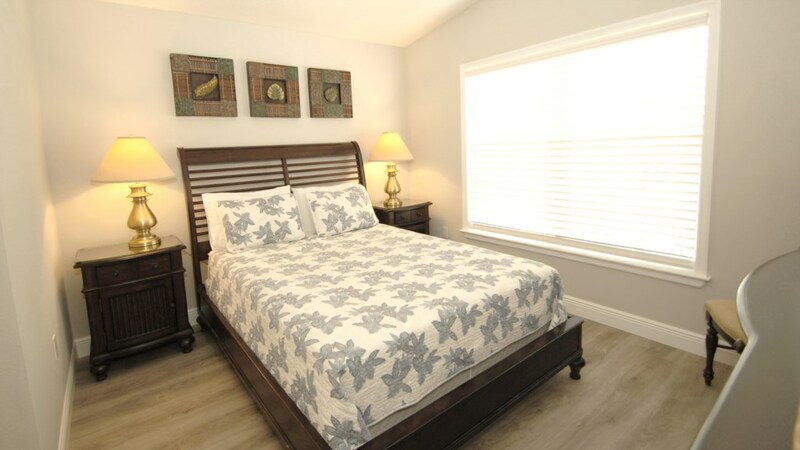 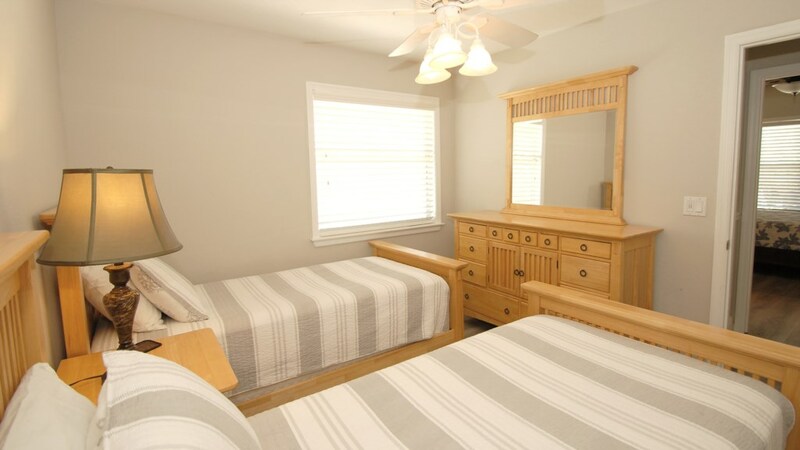 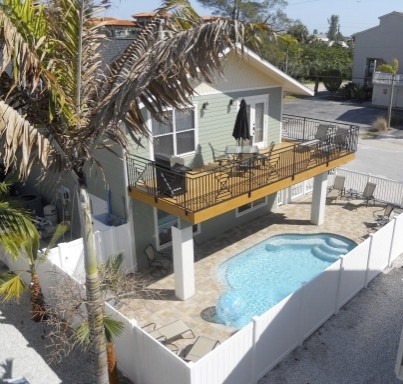 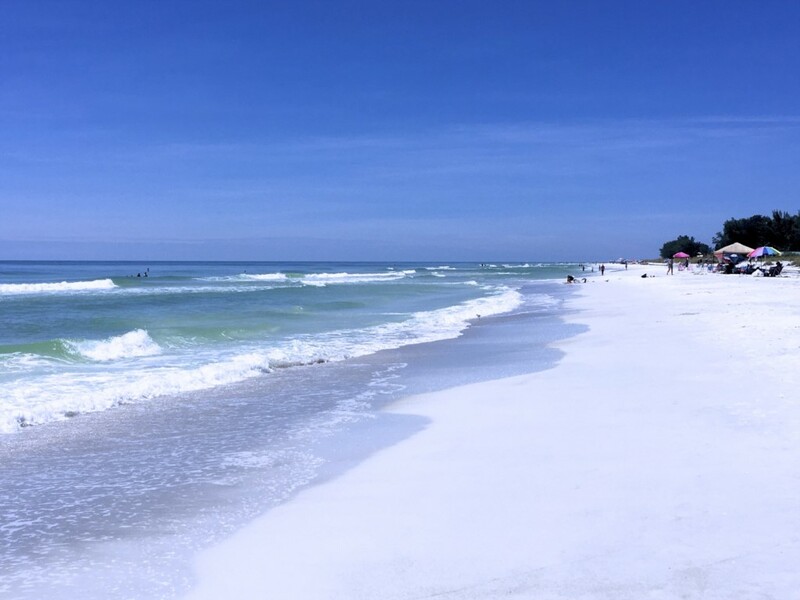 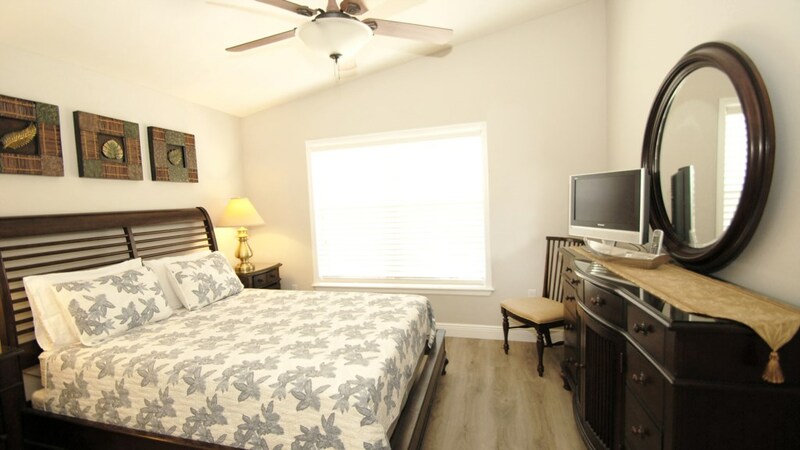 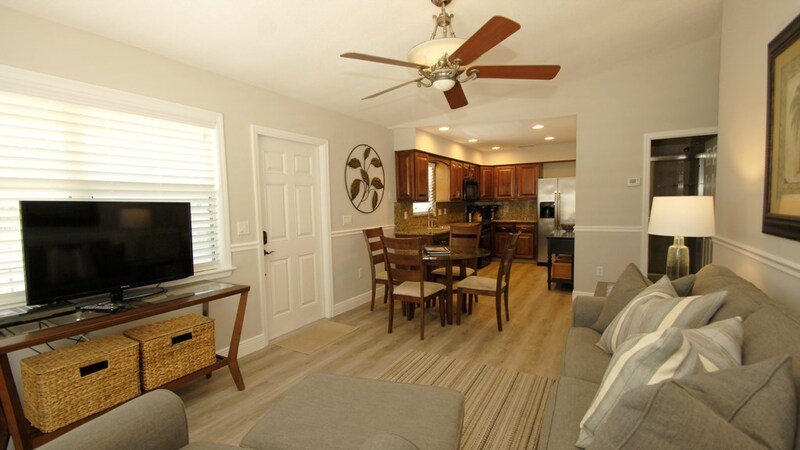 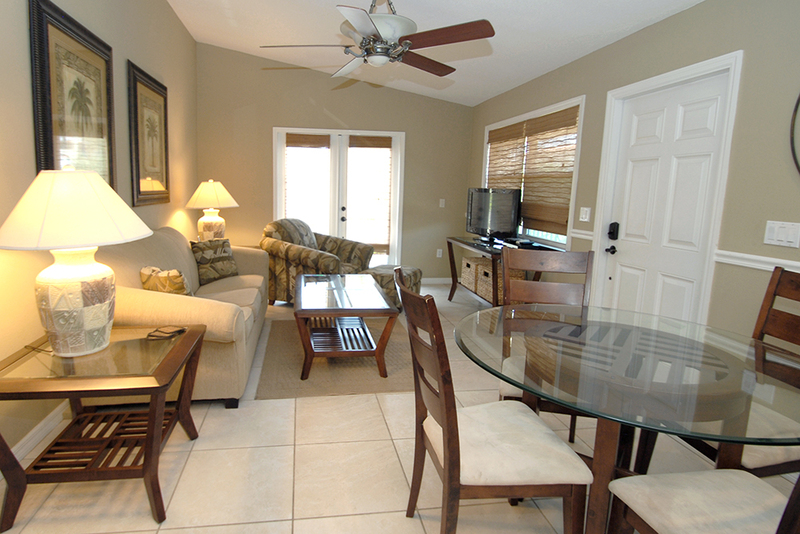 The Anna Maria Island 'Beach Paradise 6 is located on Holmes Beach directly in the middle of Anna Maria Island and is conveniently located across from the seven acre Manatee Public Beach and the shimmering Gulf of Mexico. 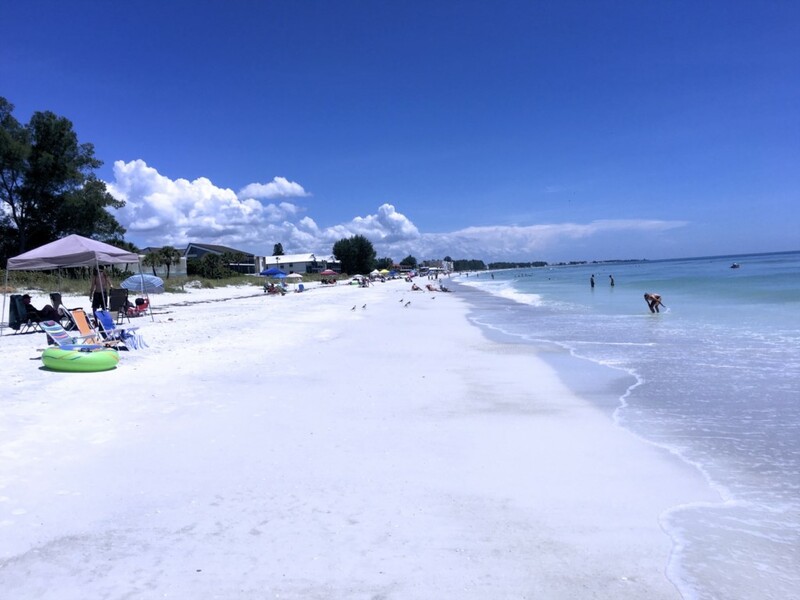 This is one of only two lifeguard protected beaches on the Island, and includes the Café on the Beach, a great spot for pancake breakfast, lunch and the occasional live entertainment as well as a playground for the kids. 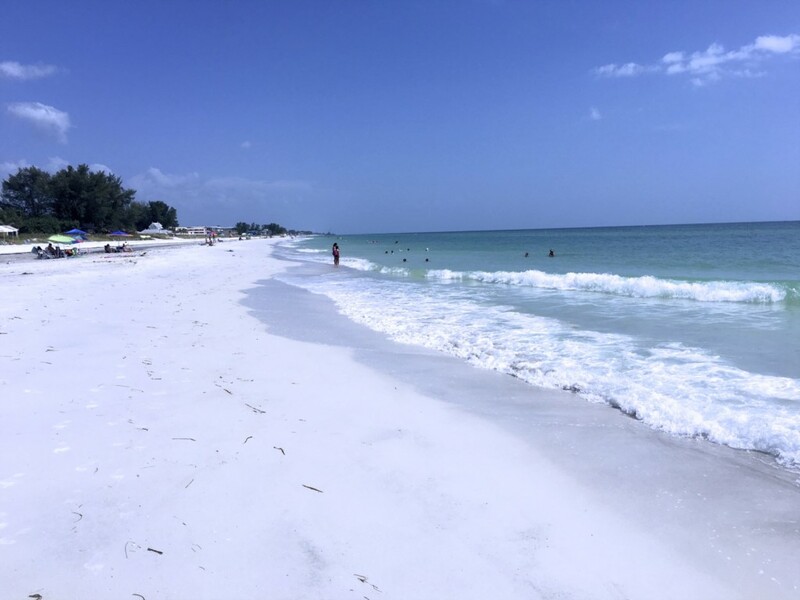 If you desire a more secluded and quieter beach experience simply walk over to the beach and turn left or right and walk towards your desired seclusion. 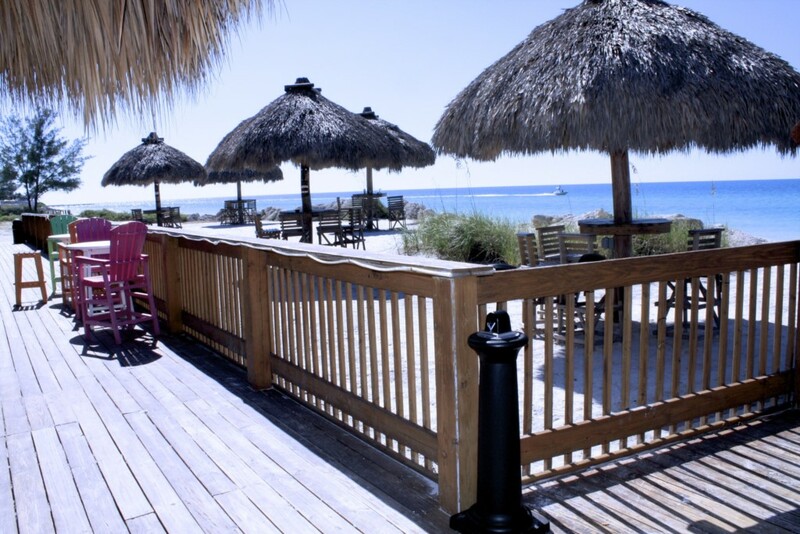 The Beach Paradise has recently undergone a complete interior renovations for a fresh, tropical "At-The Beach" ambiance. 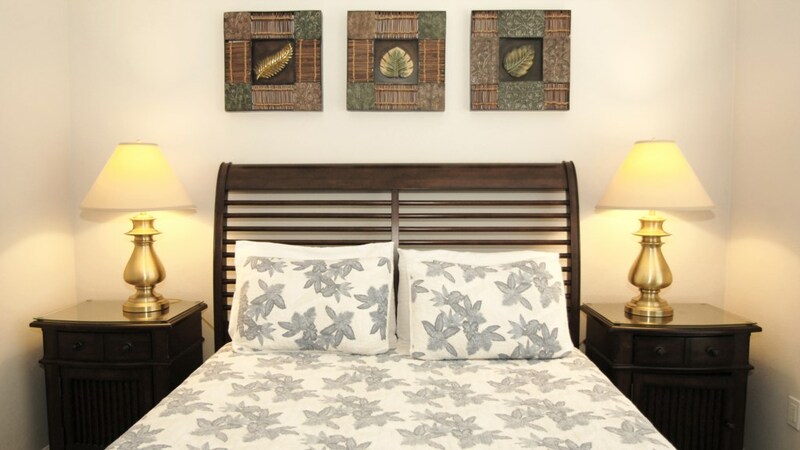 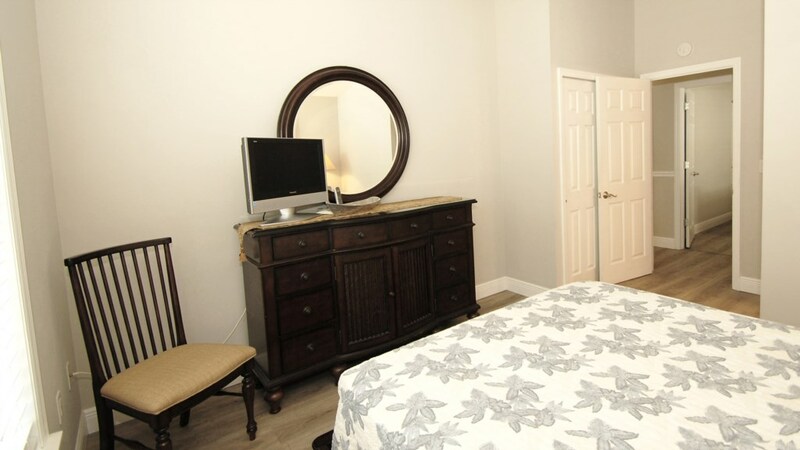 This beautiful and totally renovated and professionally decorated two Bedroom condo with two Full Baths sleeps six with a Queen Size bed in the Master Suite, two Twin Size beds in the Guest Bedroom, and a Queen Size sofa sleeper in the Living Room. 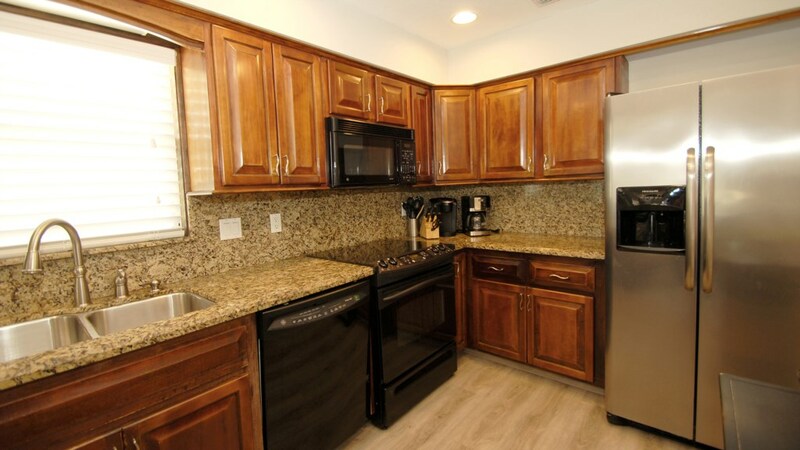 Fully loaded Kitchen, Dishwasher, Microwave, Solid Oak Cupboards, Granite Counter Tops, Granite Back Splash For Good Hygiene, New Contemporary Sink With Brush Nickel Faucets, All New State Of The Art GE Profile Stainless Steel Appliances With Glass Stove Top, Side By Side Refrigerator With Built In Water & Ice Maker, All New Pot Light Recessed Pot Lighting, 52" Ceiling Fans, All New Bamboo Window Coverings, All New Contemporary Art Work And Wall Decor, The Second Washroom Has Just Been Completely Remodeled with All New Ceramic Tile On The Floor & All Walls For Good Hygiene, New Contemporary Pedestal Sink, All New Matching Brushed Nickel Faucets For Both The Sink & Shower, Matching Brushed Nickel Towel Bars, Matching Brushed Nickel Sliding Shower Doors, Matching Brushed Nickel Door Handles, Contemporary Recessed Pot Lighting, The En-suite Washroom Has Just Been Completely Remodeled With Solid Oak Cabinets, Granite Counter Tops, All New Ceramic Tile On The Floor & All Walls For Good Hygiene, All Matching Brushed Nickel Faucets & Taps In Both The Shower And Vanity, Matching Brushed Nickel Towel Bars, Matching Brushed Nickel Sliding Glass Shower Doors, Contemporary Recessed Pot Lighting, Bamboo Window Coverings, The Master Bedroom Has Just Been Upgraded With All New Solid Cherry Furniture, All New Mattresses & Bedding, A New Flat Screen Television, A private 10' x 35' Sun Deck is accessible form the Living Room which includes a Dining Table & Chairs, Chaise Loungers and beautiful views of the Gulf of Mexico's sunsets. 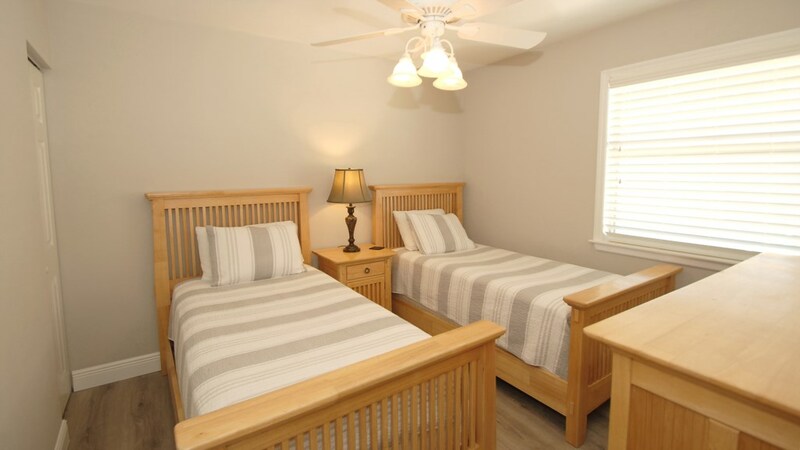 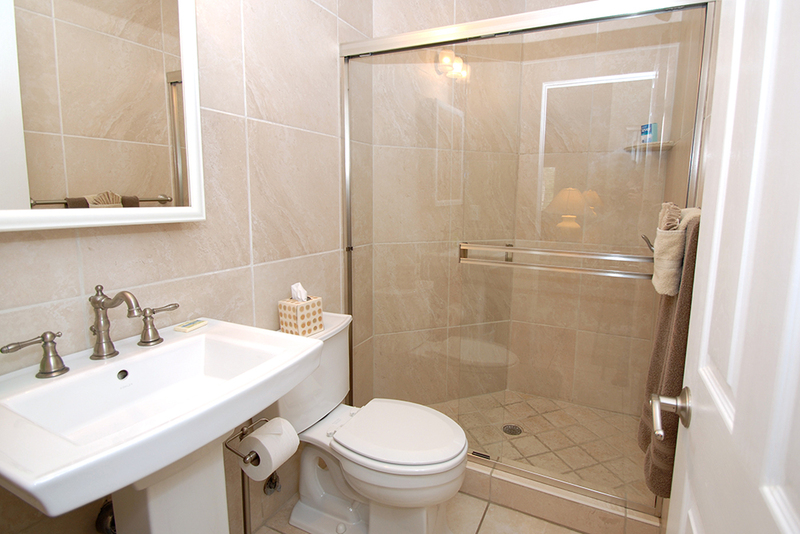 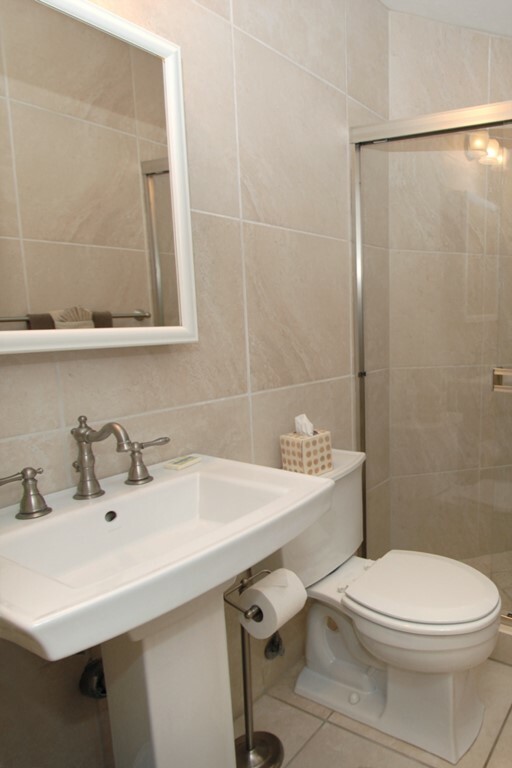 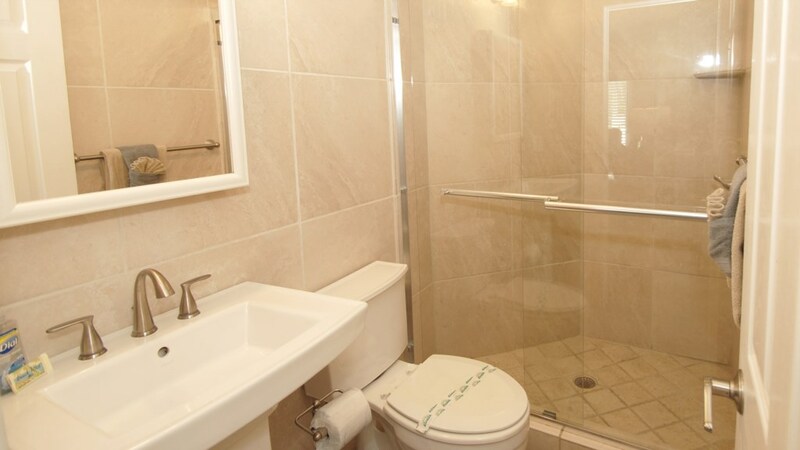 Laundry Room facilities are included at 'No-Charge.' 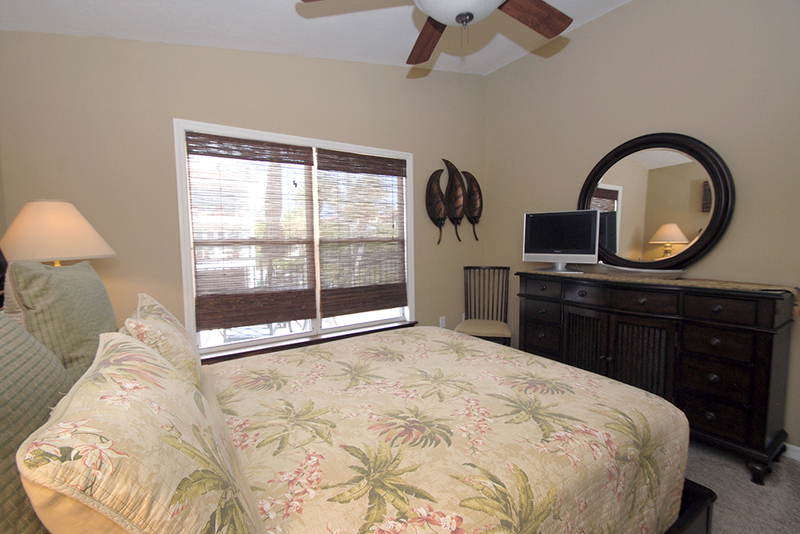 There is a 30' Flat Screen TV w/DVD player in the Living Room and a 21' Flat Screen TV in the Master Suite. 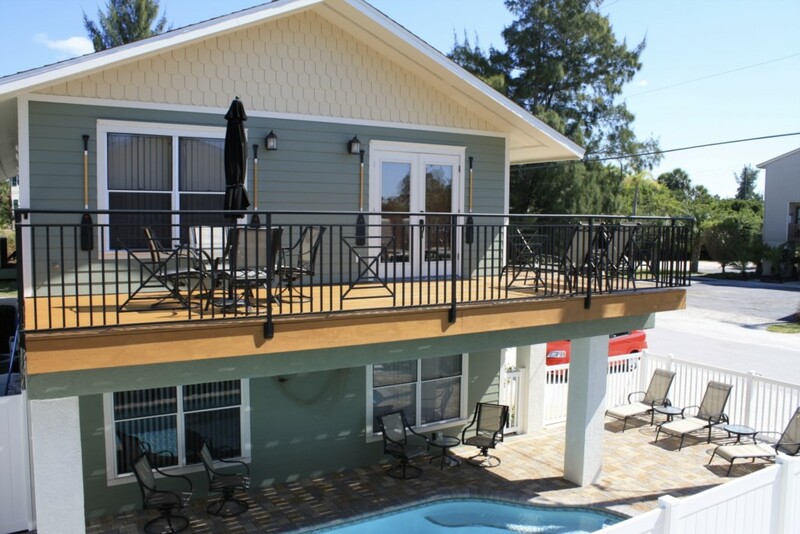 Ultra High Speed Internet, expanded Cable Line-up including sports, music, movies, free-on-demand, HD television with over 170 channels,out door hot and cold shower, beach chairs, floats, beach toys, GAS-GRILL and National Long Distance calling is included at 'No-Charge.' 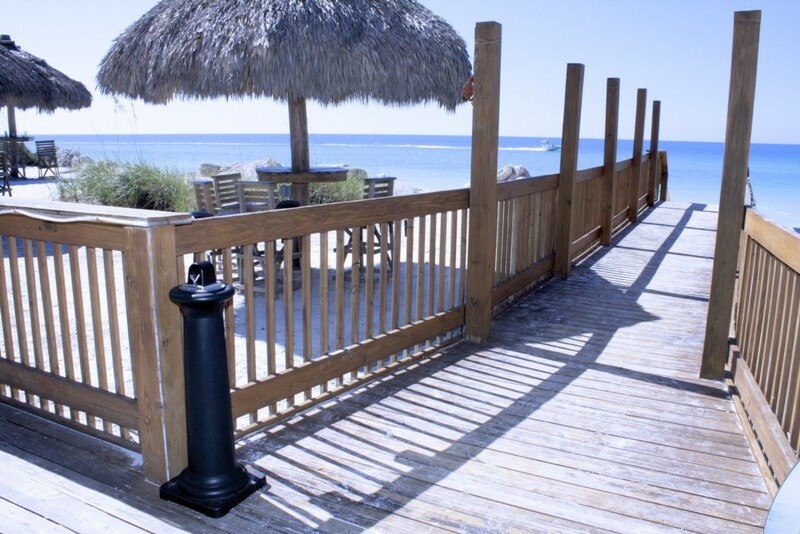 Bicycles, Beach Chairs, Beach Coolers and must more are available for our Guest's enjoyment. 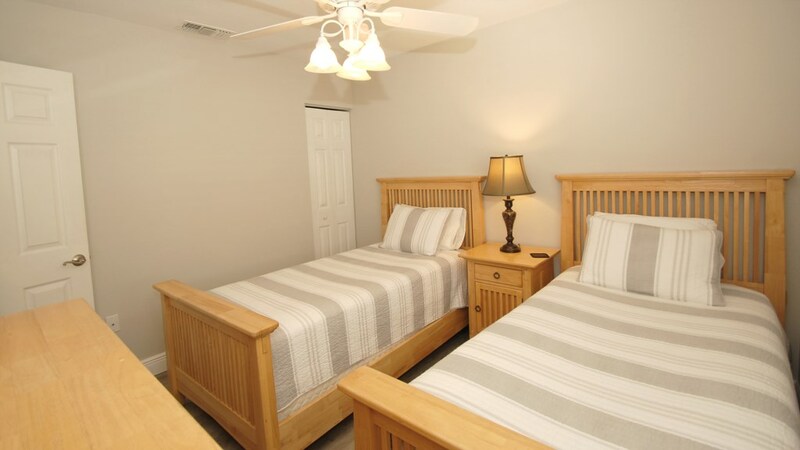 Three night rentals are available. 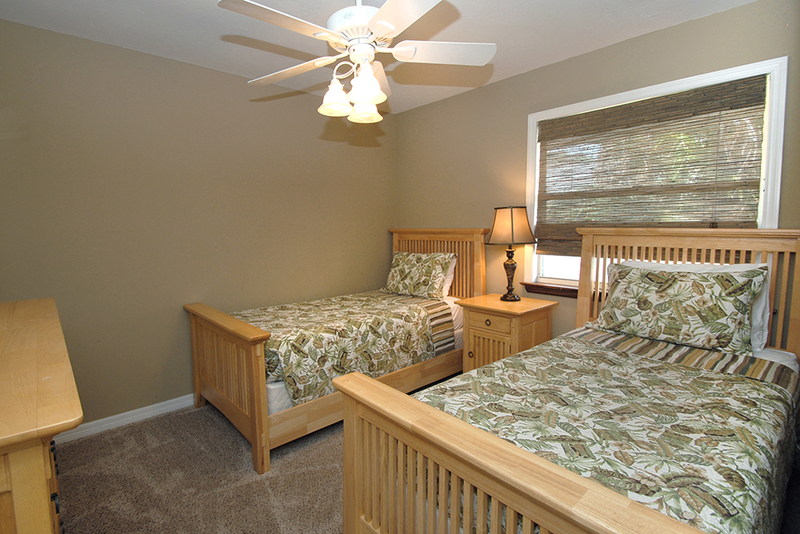 There is a one week minimum stay during the winter. 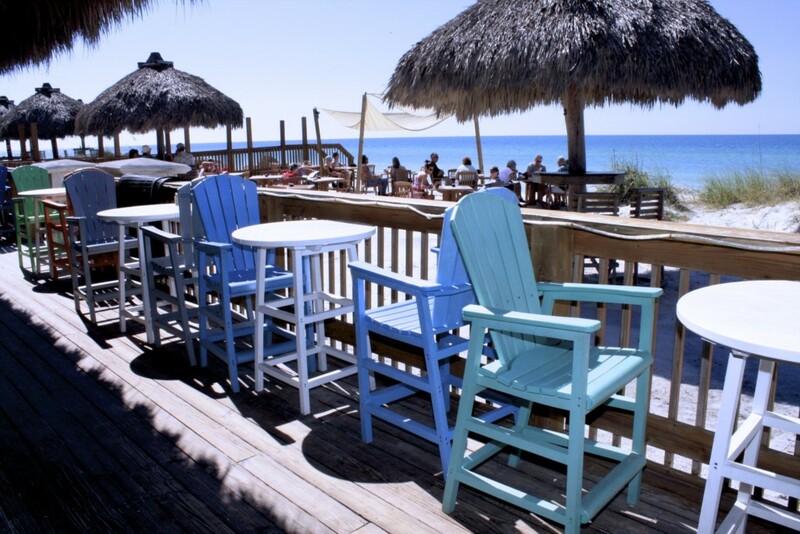 Steps away from the "Beach Paradise you'll find the West Coast Surf Shop stocked with beach apparel and supplies. 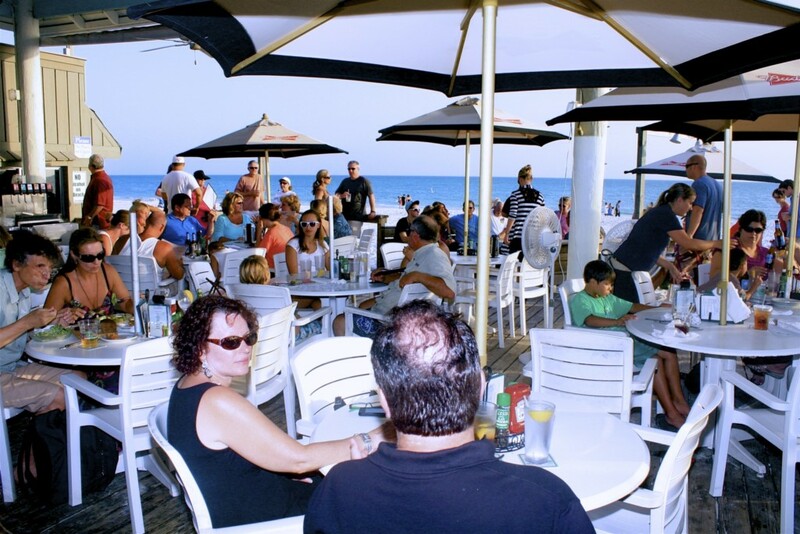 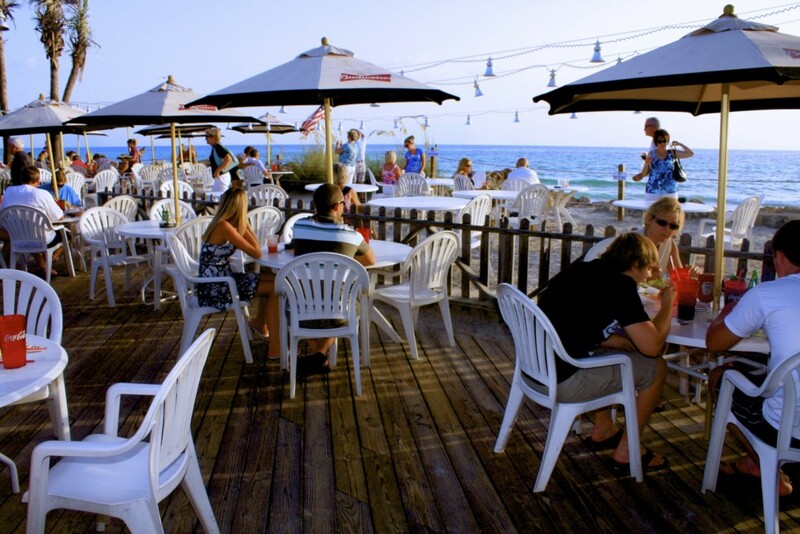 The legendary "Skinny's Place" is right across the street, serving up ice cold mugs of beer and the best burger on the beach. 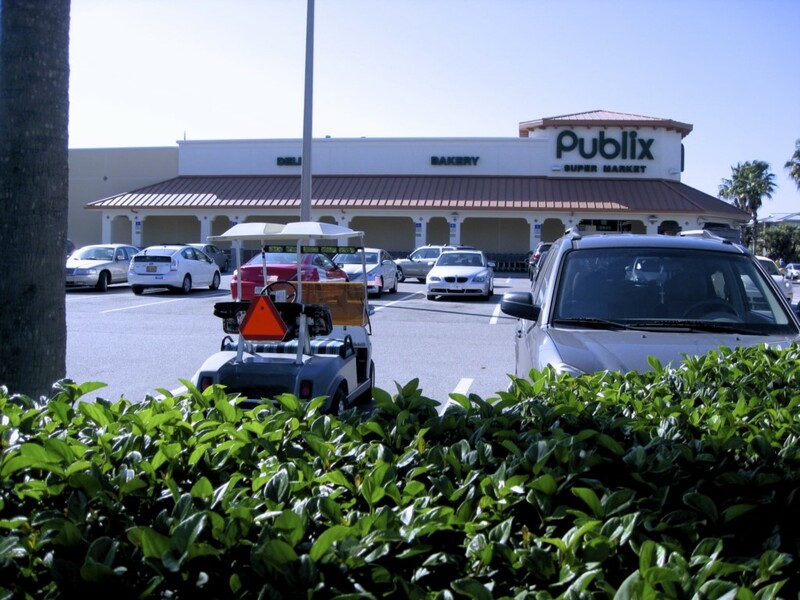 Just around the corner is the Island Center Shopping which serves all of your shopping needs including eleven eateries, specialty shops, grocery, liquor store and other island conveniences. 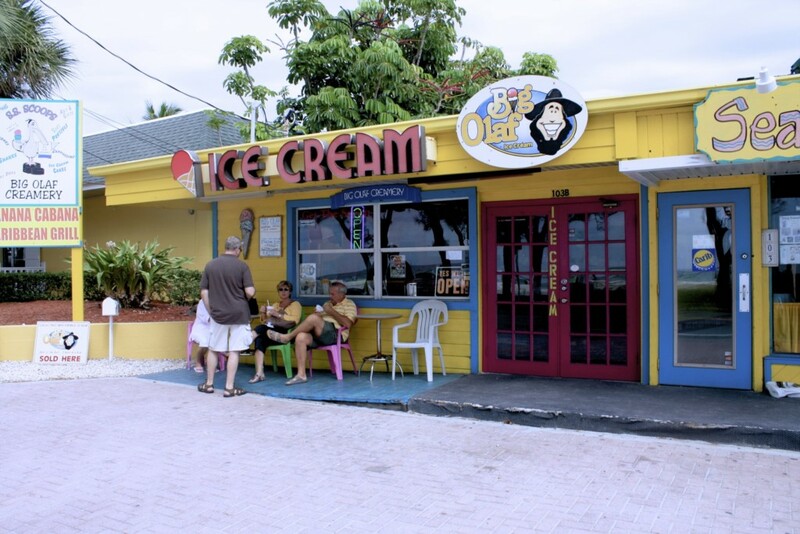 Hop on the free Island Trolley to explore other areas of the island. 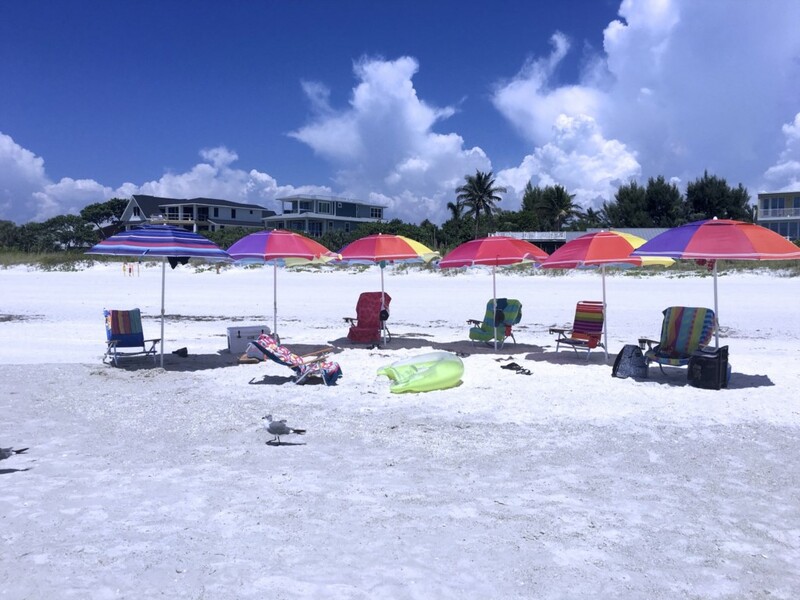 Many Florida attractions, such as Disney World, Universal Studios, Epcot Center, Sea World, Busch Gardens, Mote Marine, Ringling Museum and St. Armand's Circle, are a short drive away. 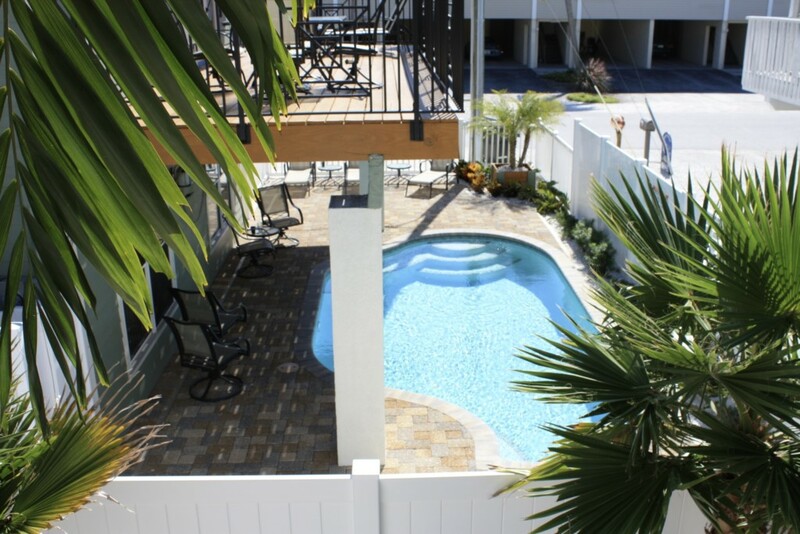 The NEW heated pool opened in February, 2010 and features a gas grill, dining tables and chaise loungers. 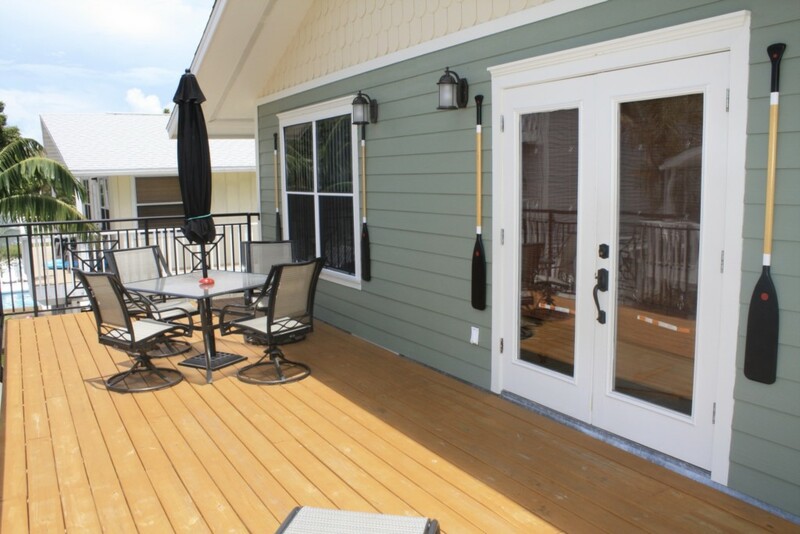 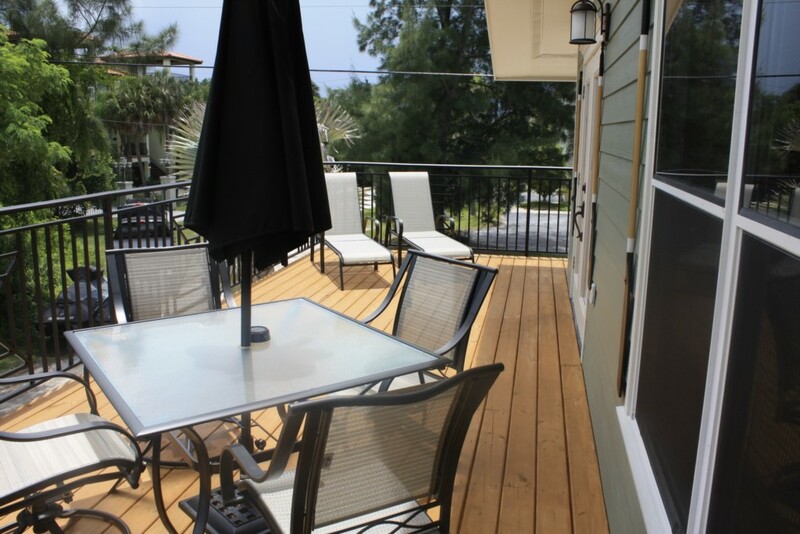 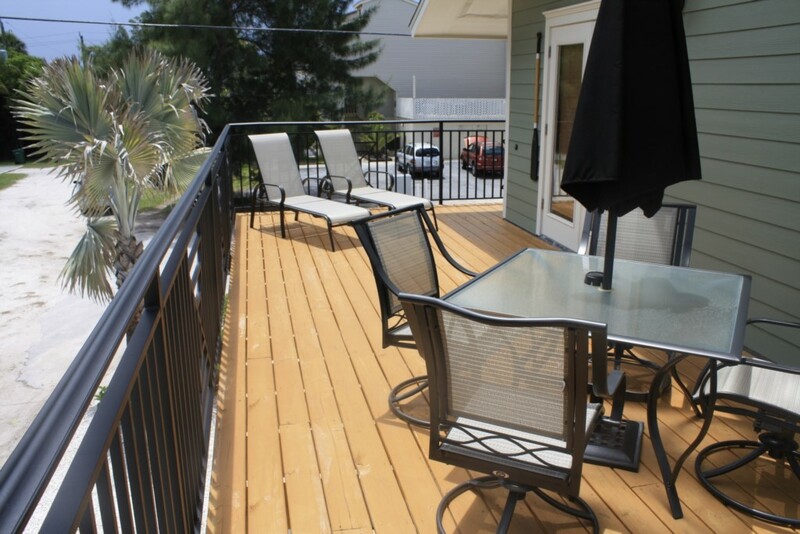 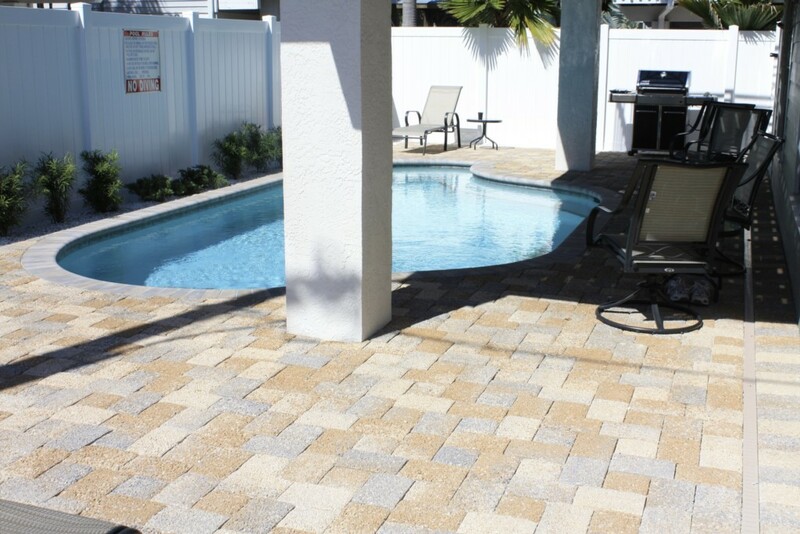 Perfect for sunbathing, barbecues, or simply enjoying the Florida evenings after a lazy day at the beach. 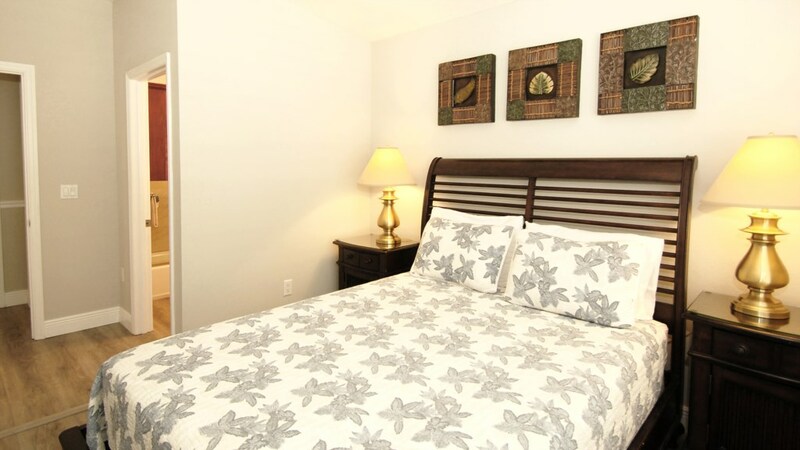 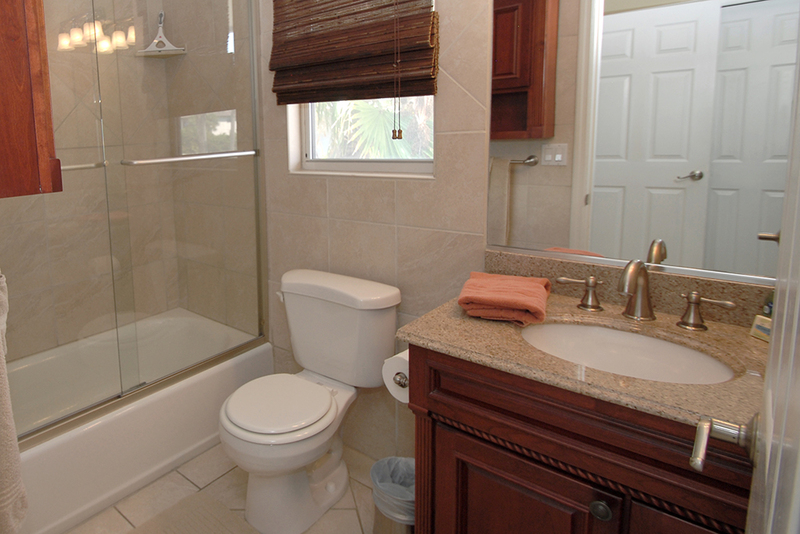 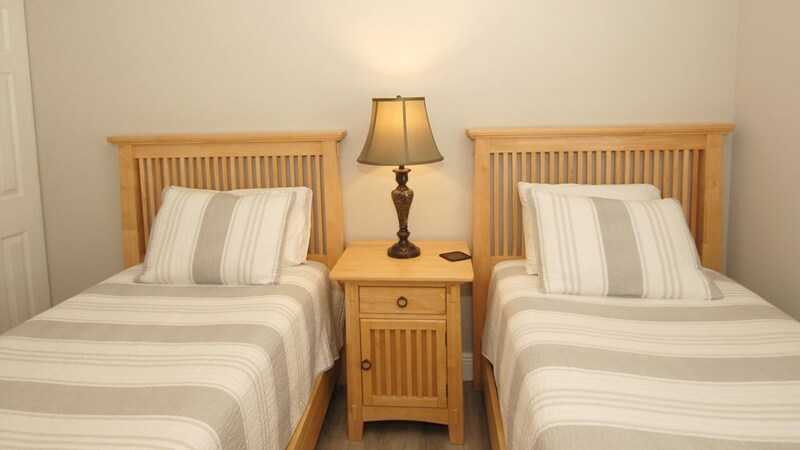 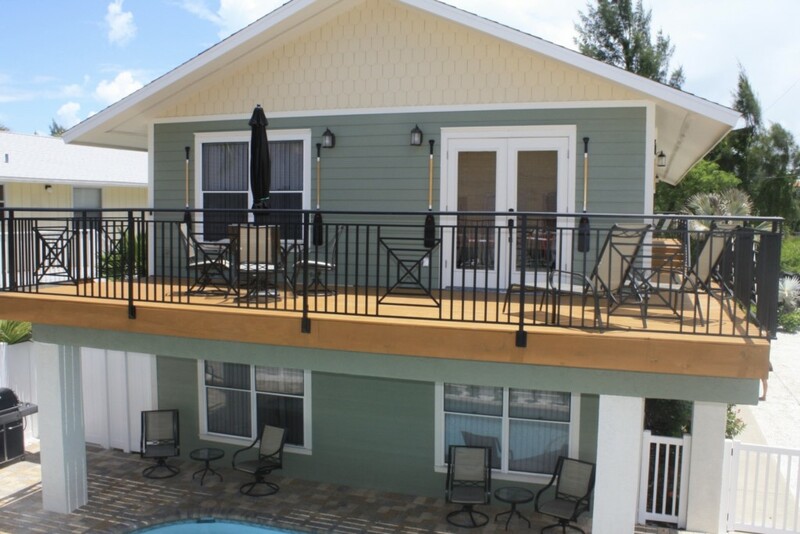 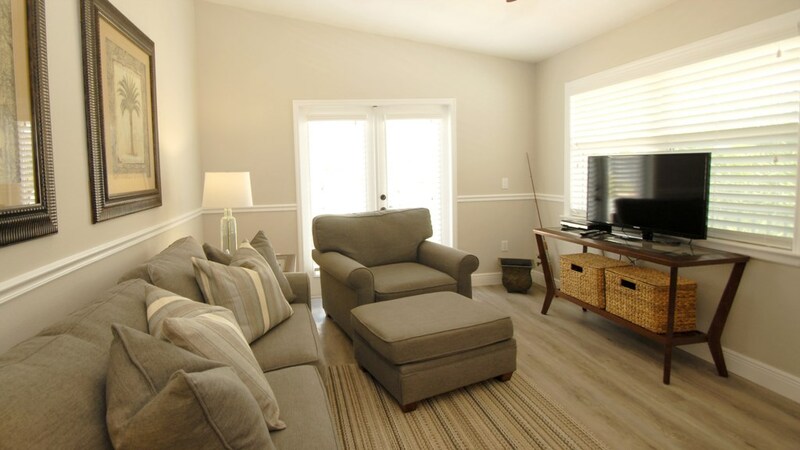 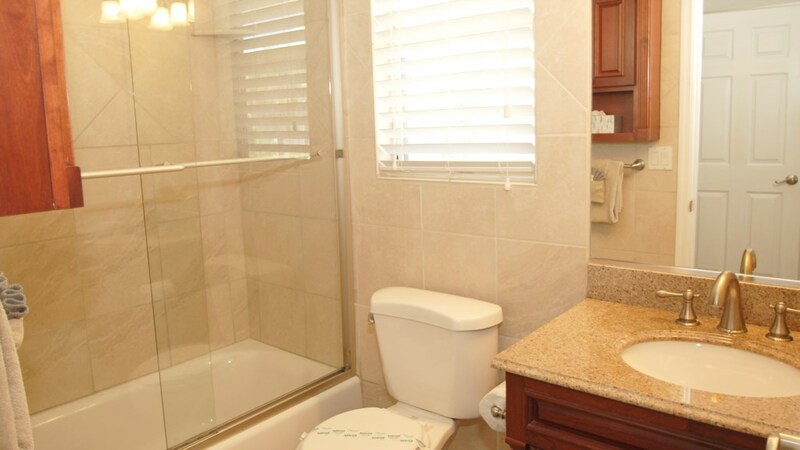 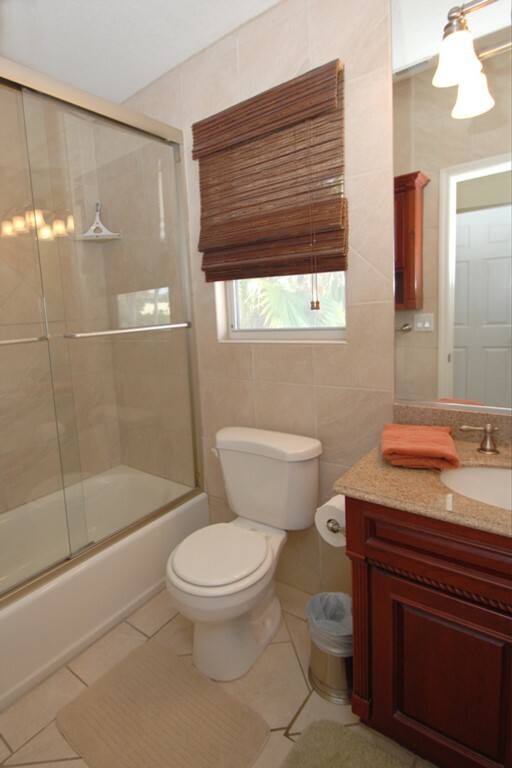 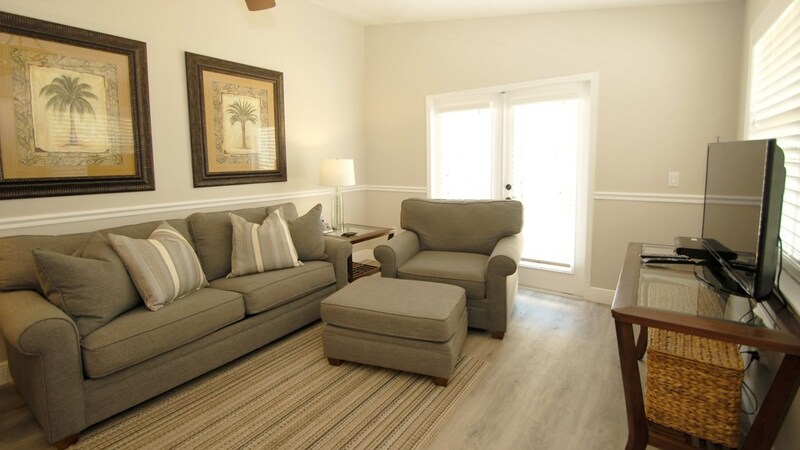 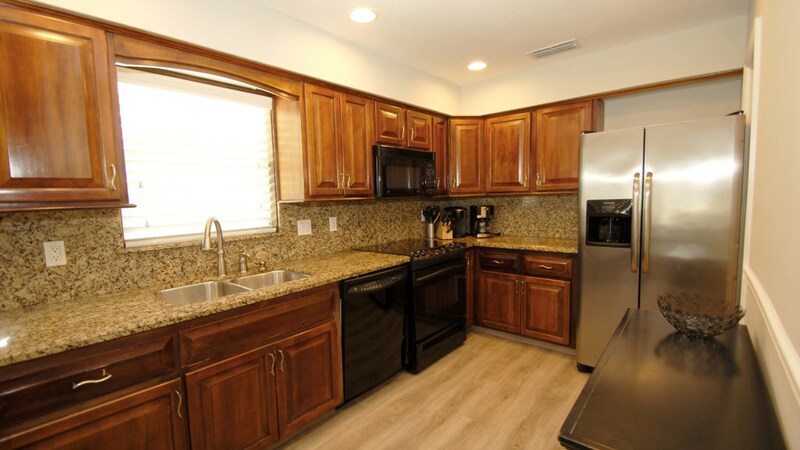 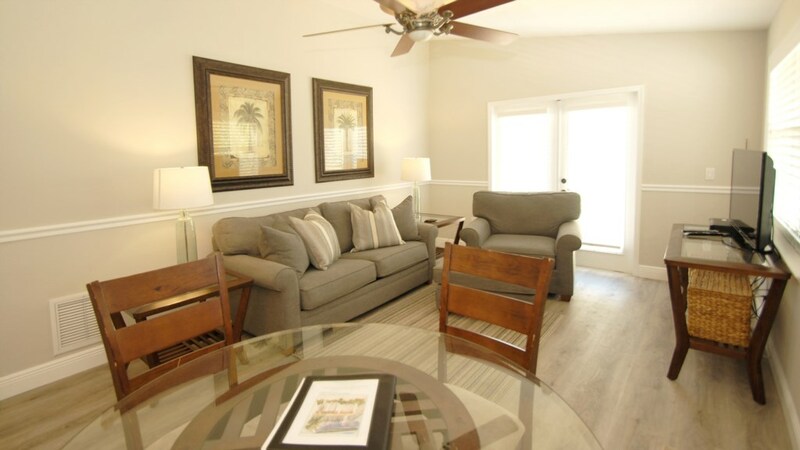 The amenities provided will make your Anna Maria Island vacation a pleasant one while you enjoy a weekend getaway or an extended stay. 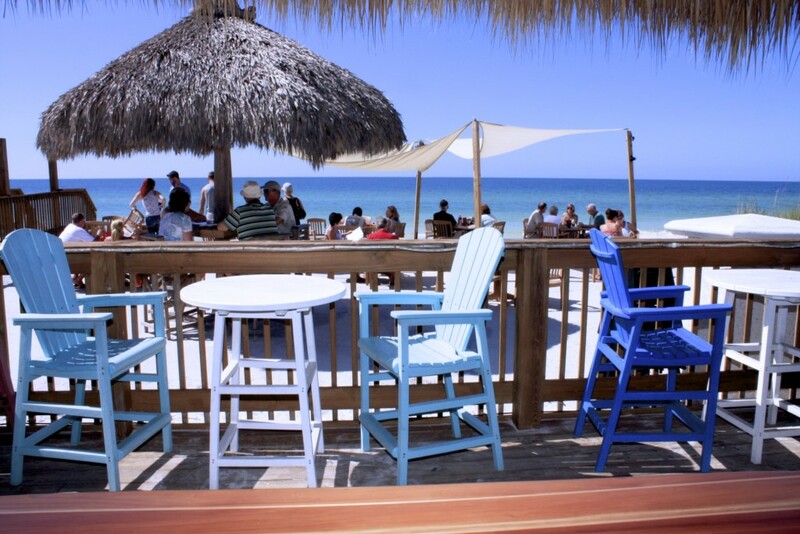 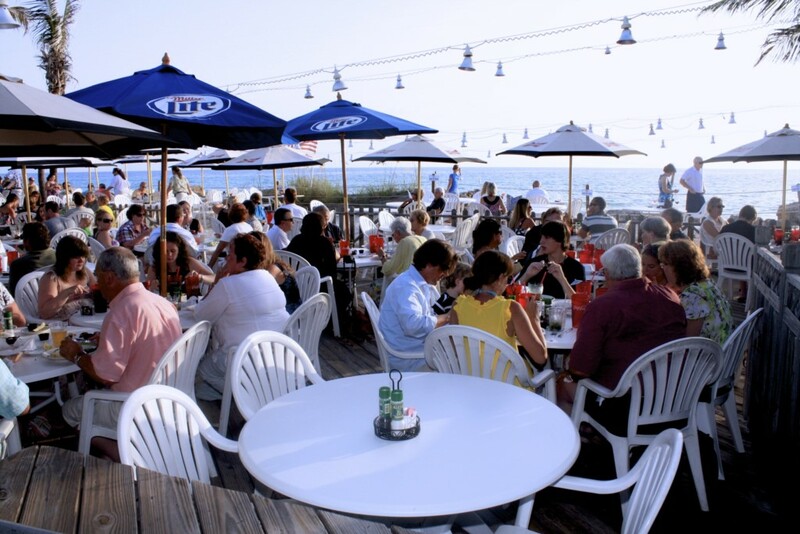 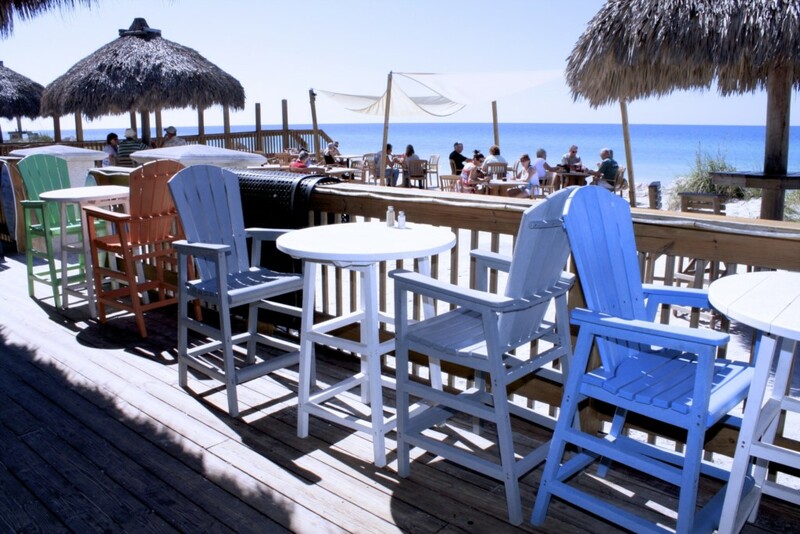 This is a perfect venue to host a romantic beach wedding or a large Family "Get-to-Gether." 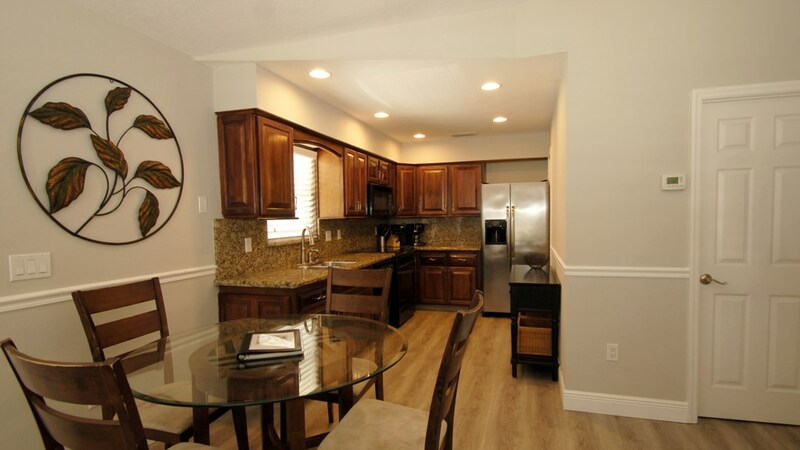 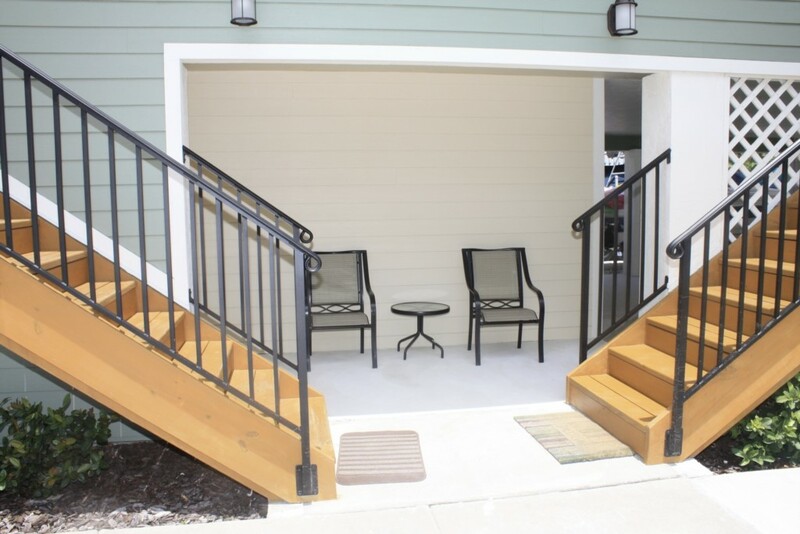 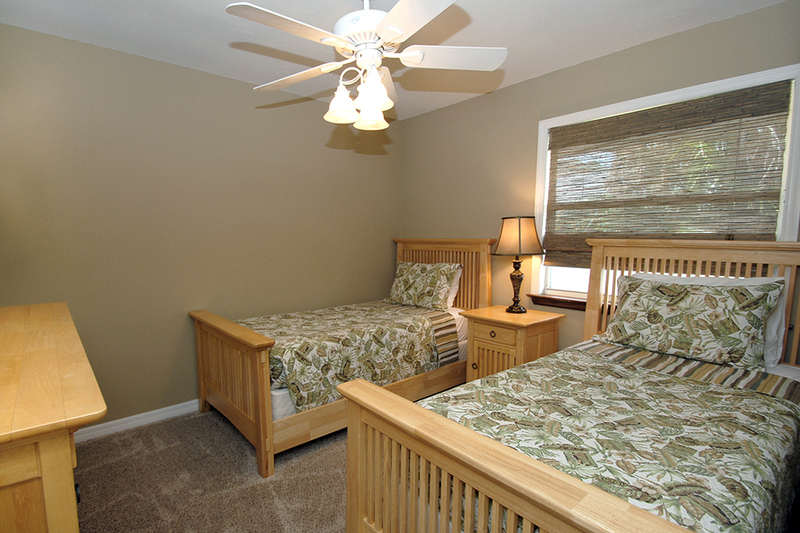 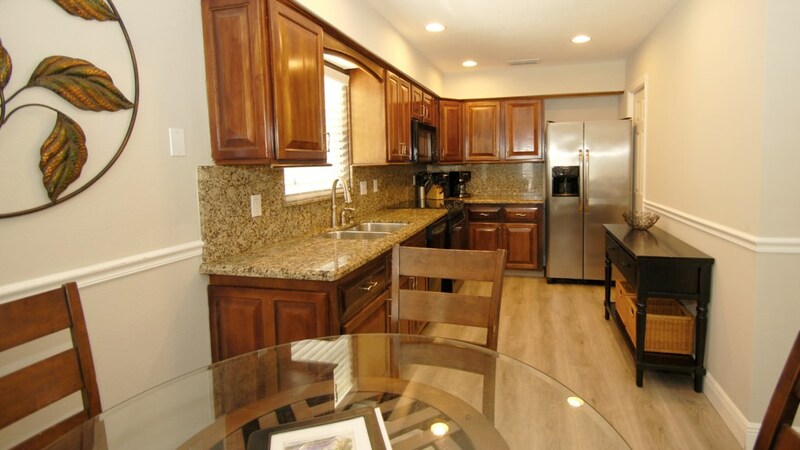 The versatility and options offered by this four unit village are endless with the various room configurations. 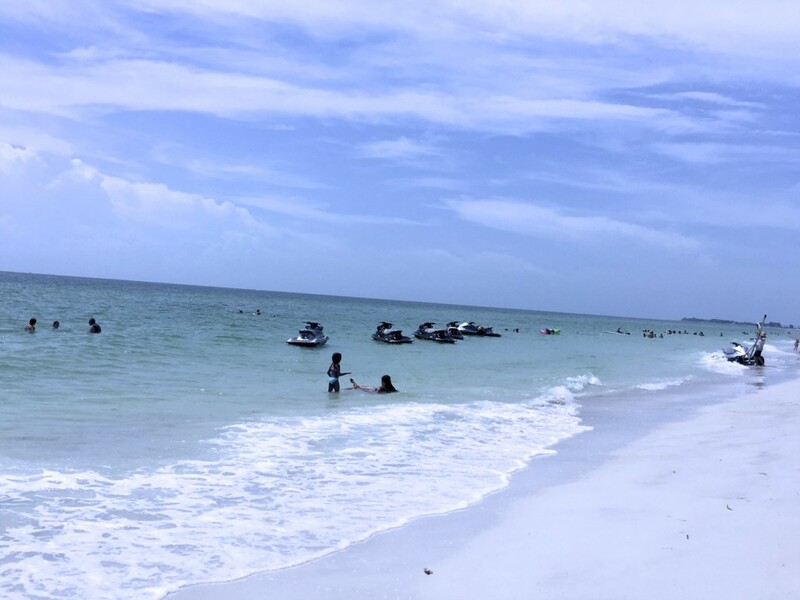 There is adequate parking available for Boat and Jet Ski parking. 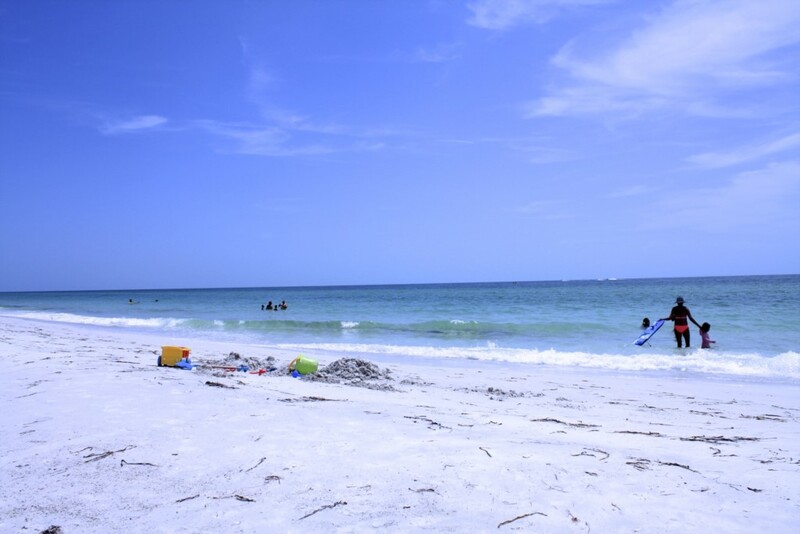 Truthfully, there are many great family beaches on the Florida Gulf Coast. 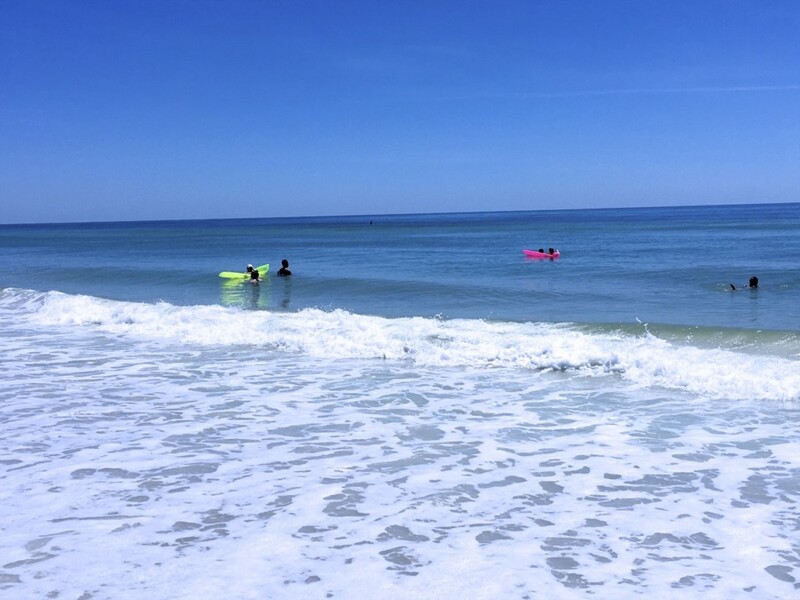 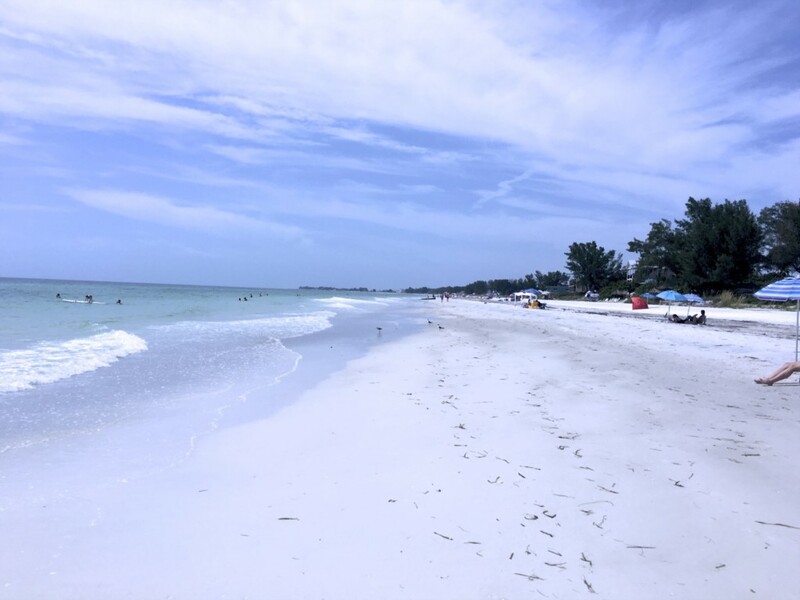 I choose Manatee County Public Beach as the best because it is on the most family friendly island AND is a great family beach. 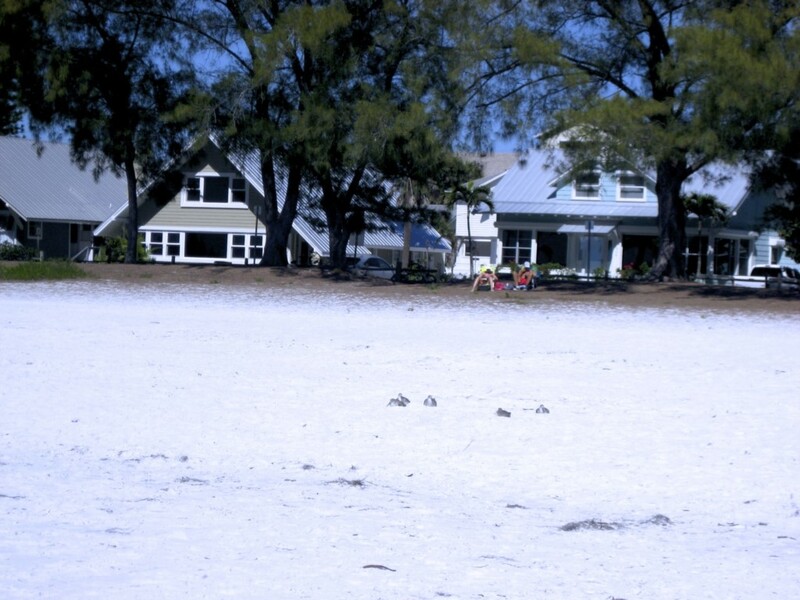 I should know, I grew up on this beach. 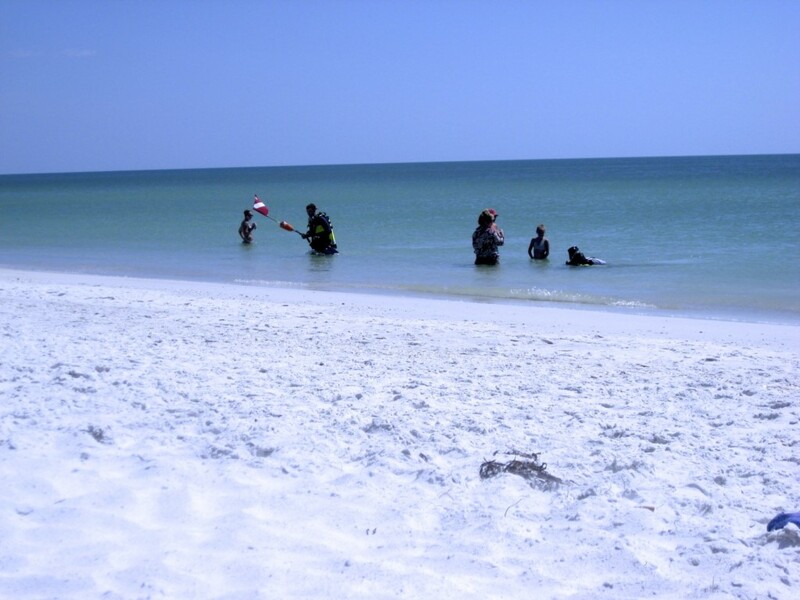 This beach and the island it's on are still family oriented. 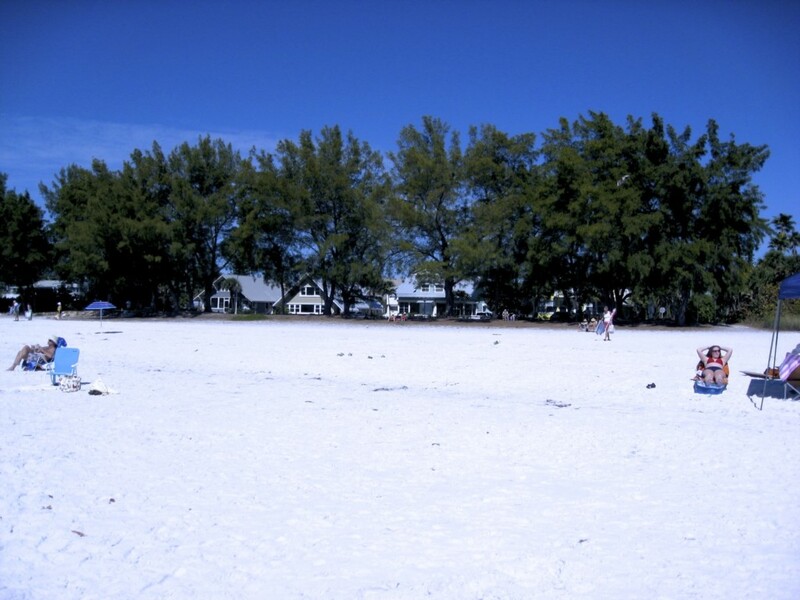 The beach is located west of the City of Bradenton, at the western end of Manatee Avenue (Highway 64). 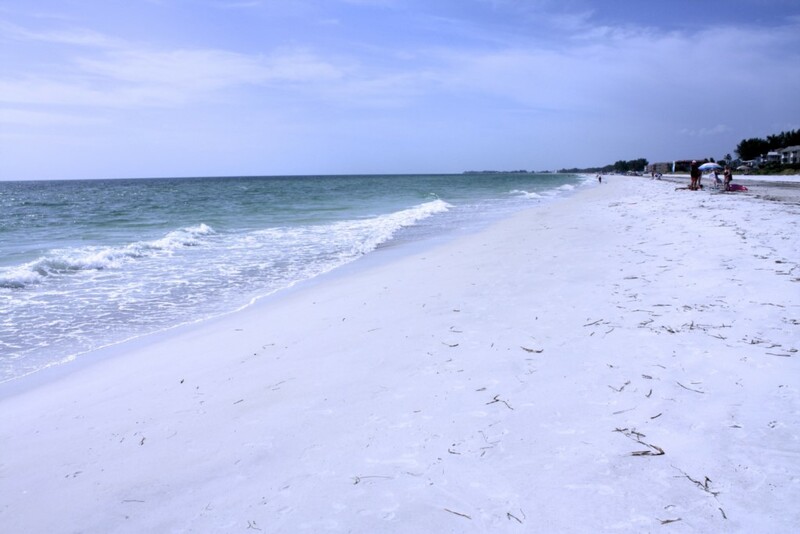 The sand is beautiful and white, the water is calm, clean, and shallow enough to be kid-friendly. 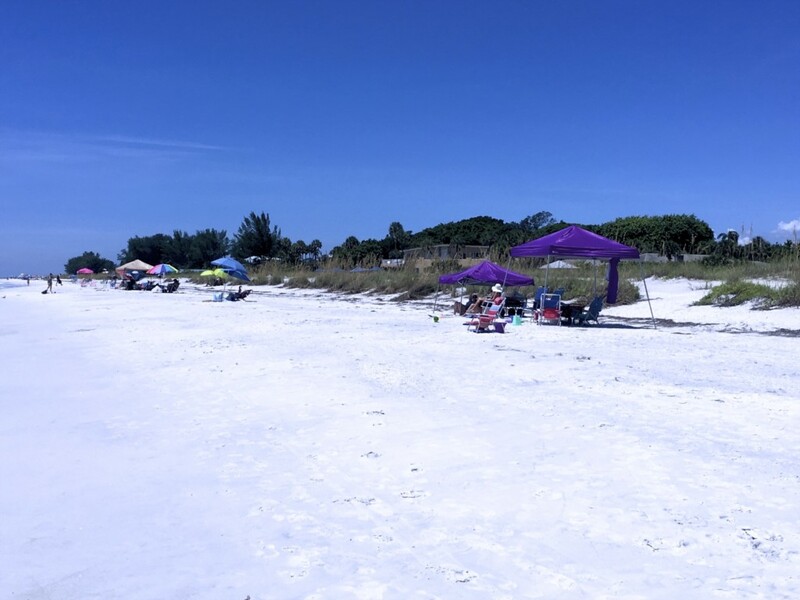 The beach is protected by lifeguards and there are restroom facilities, outdoor showers, a gift shop, a pier to walk on or to fish from, a picnic area, and of course there is the Cafe On The Beach when you get hungry. 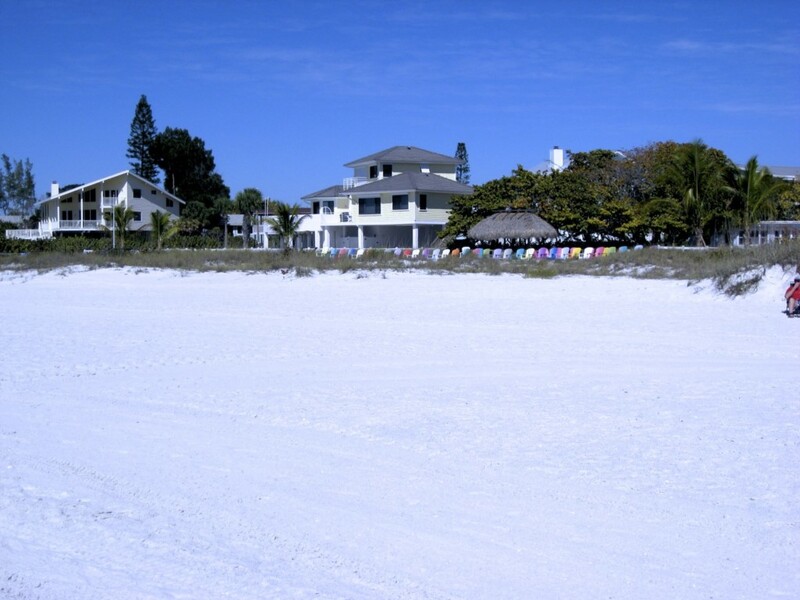 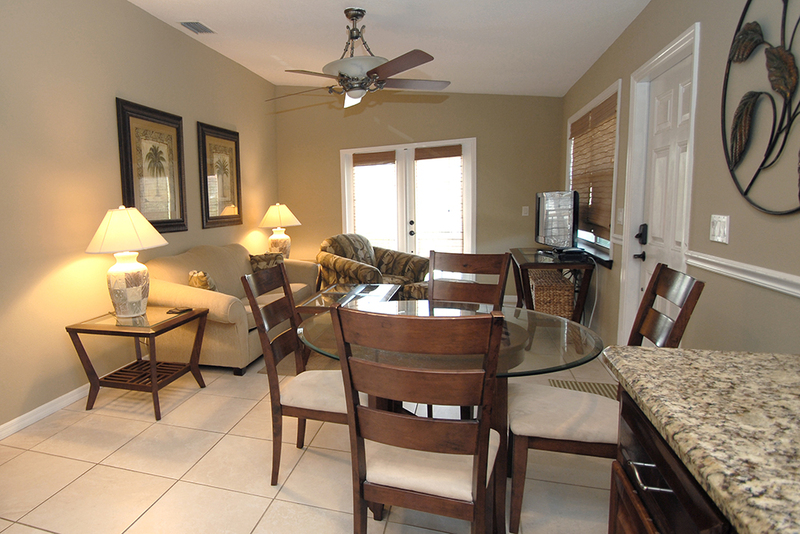 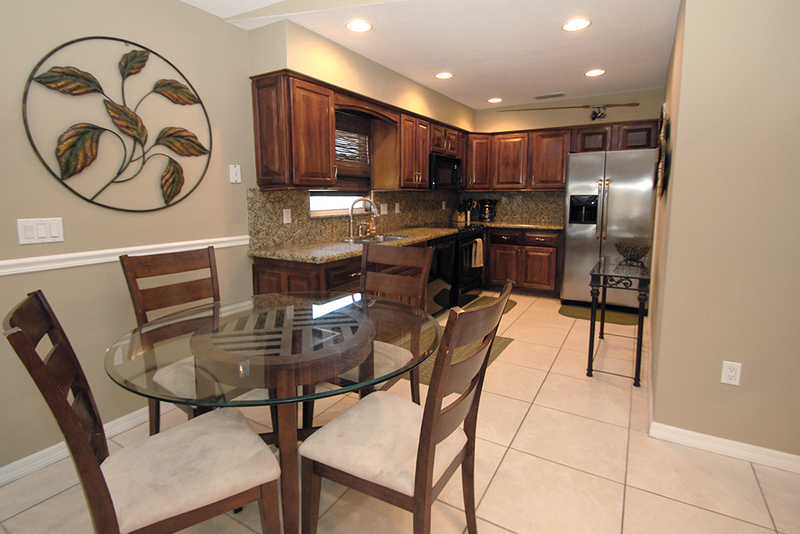 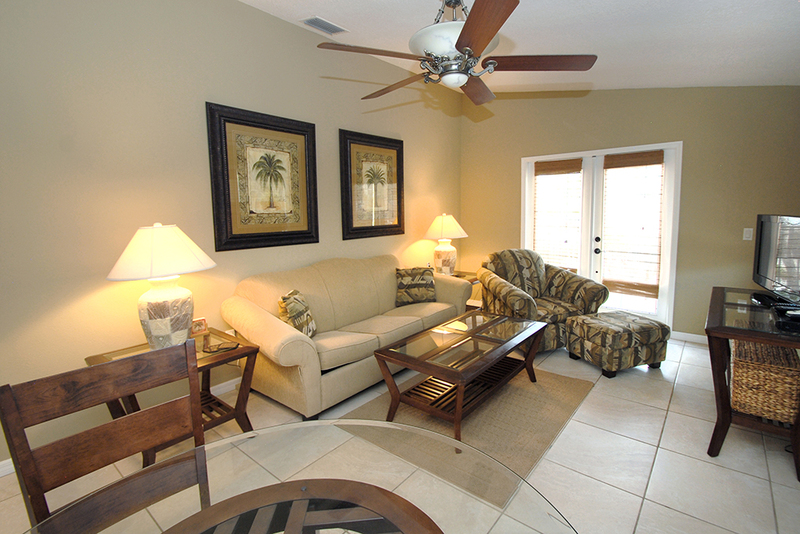 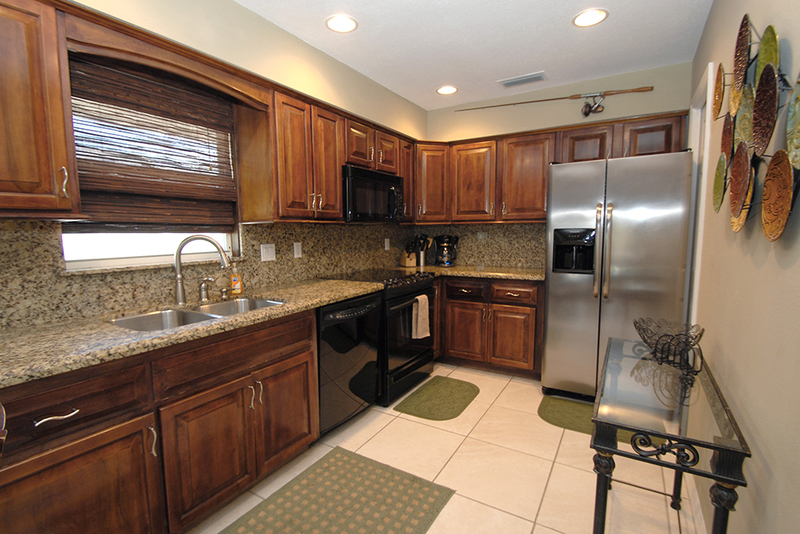 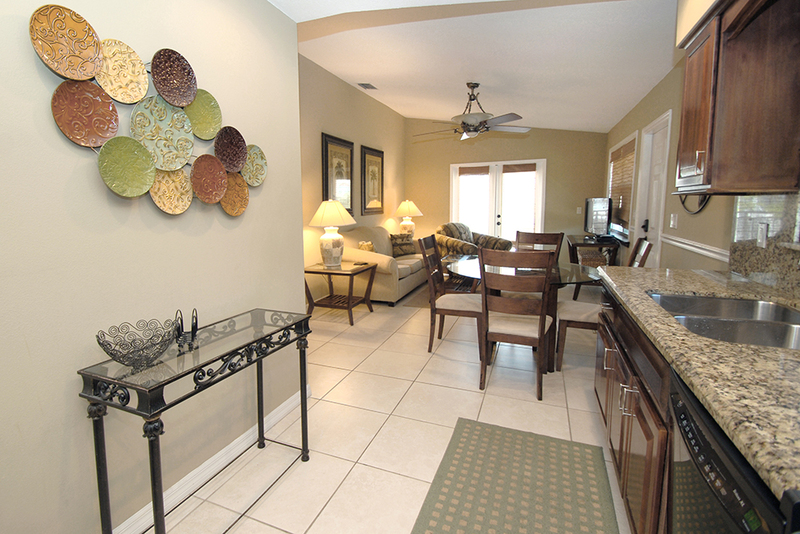 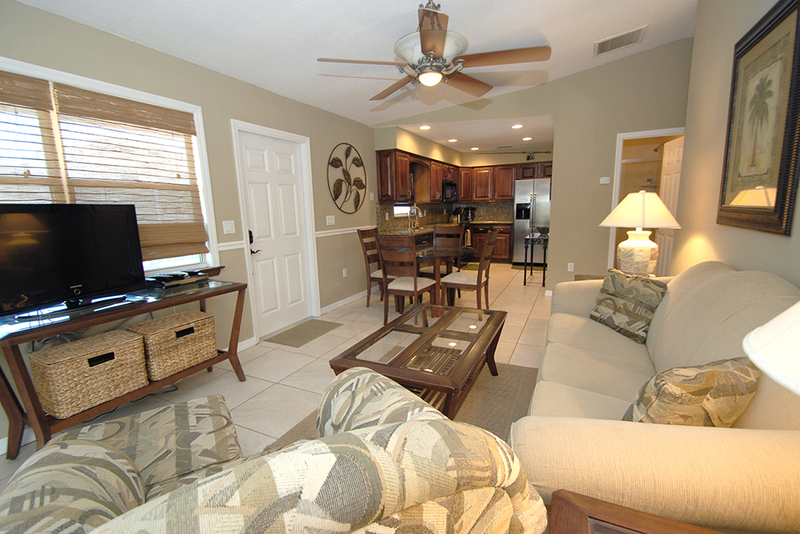 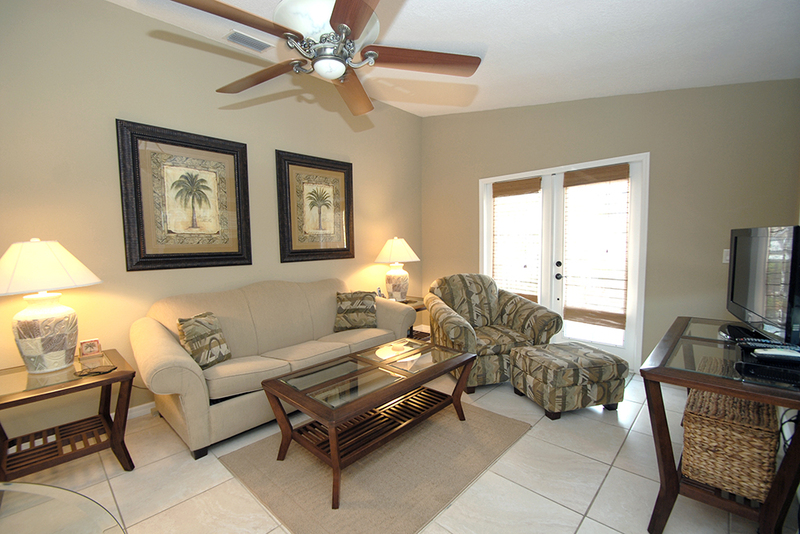 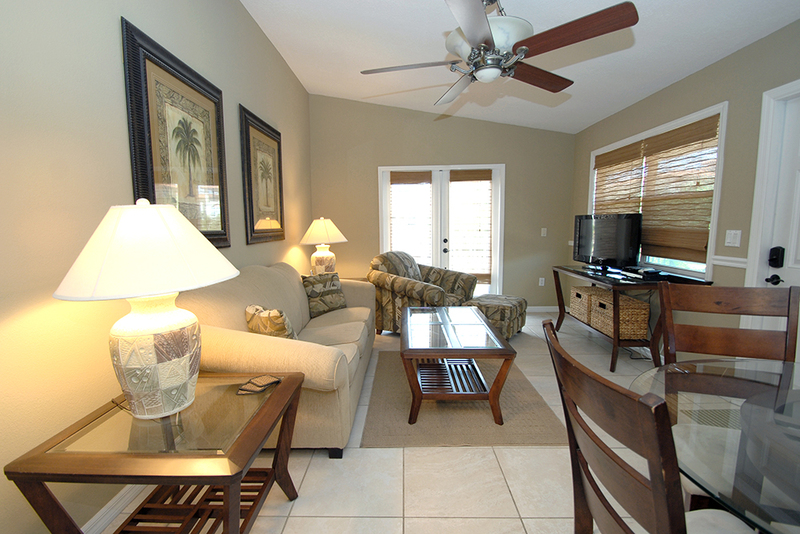 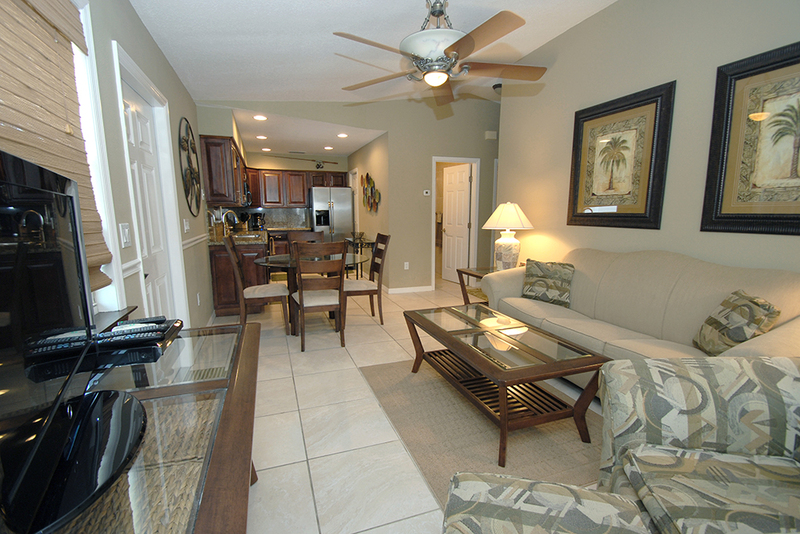 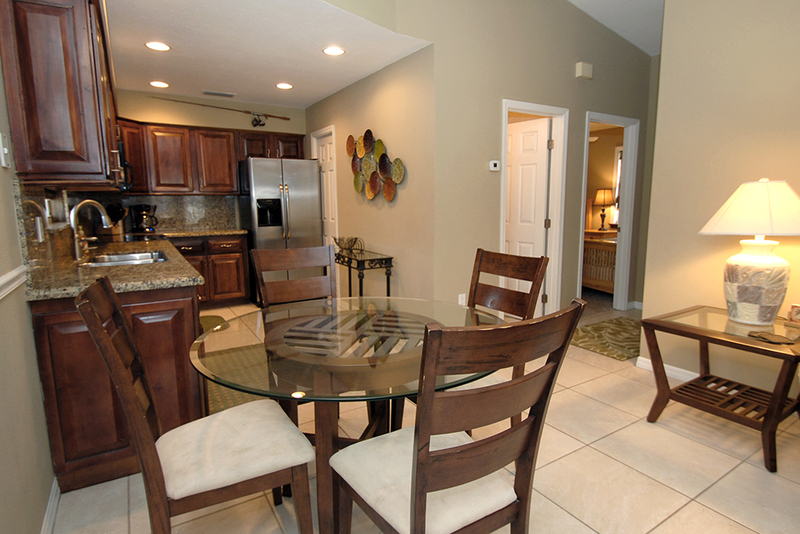 Anna Maria is a residential community that caters to a wide range of visitors from all over the world. 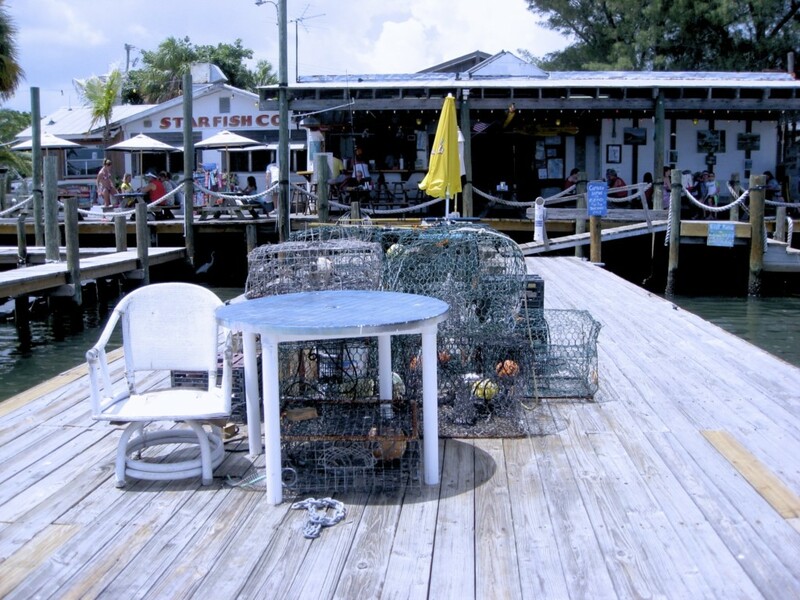 It is a quiet island without high-rises, big hotels, or nightlife. 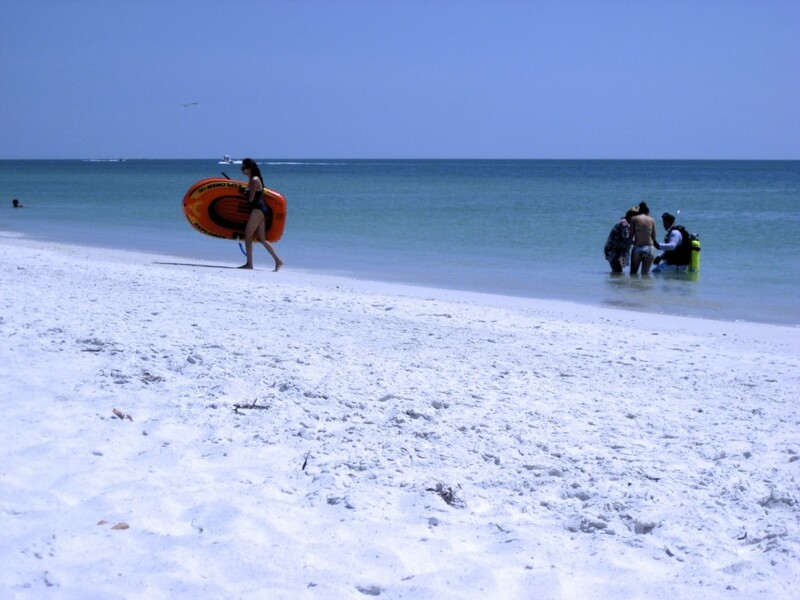 The focus is on relaxing and enjoying the beach and the community. 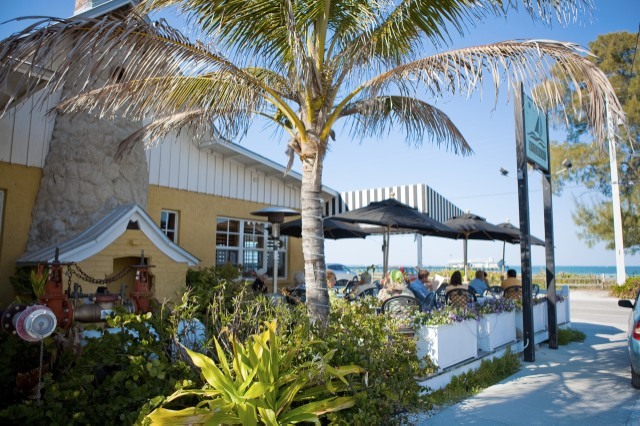 There are plenty of restaurants, from seafood to Italian and Indian cuisine and everything in-between. 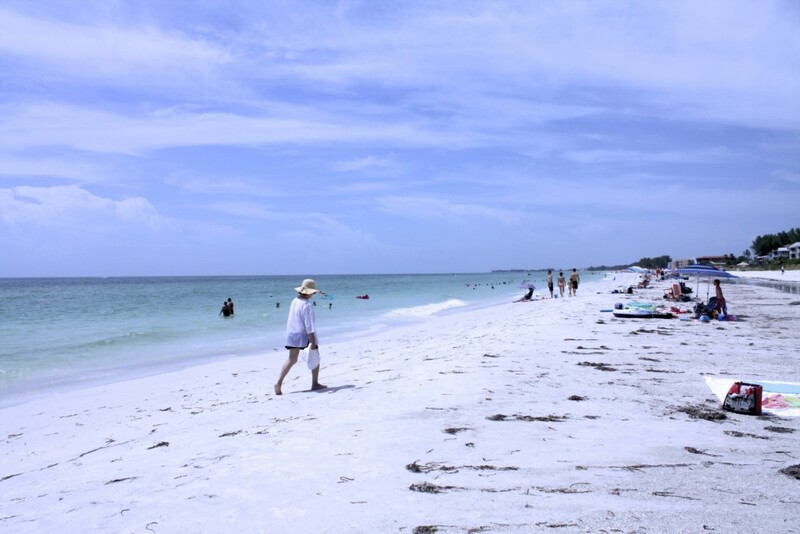 From Manatee Public Beach you can walk all the way to the north tip of the island if you care to (many do) in about 2 hours. 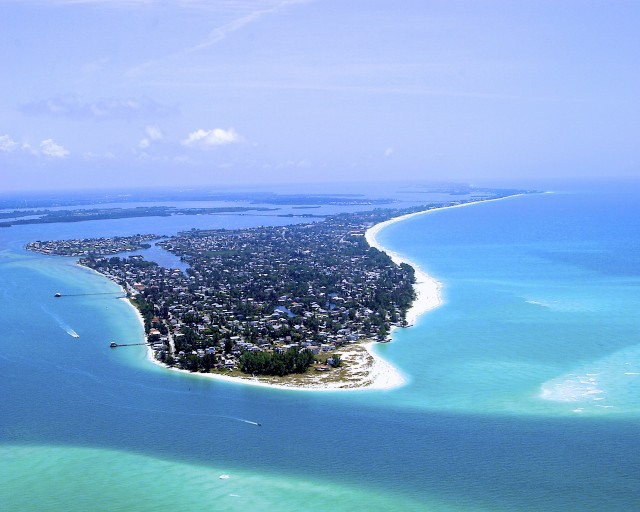 If you need some adventure, go para-sailing, take a charter fishing trip or a tour boat to Egmont Key. 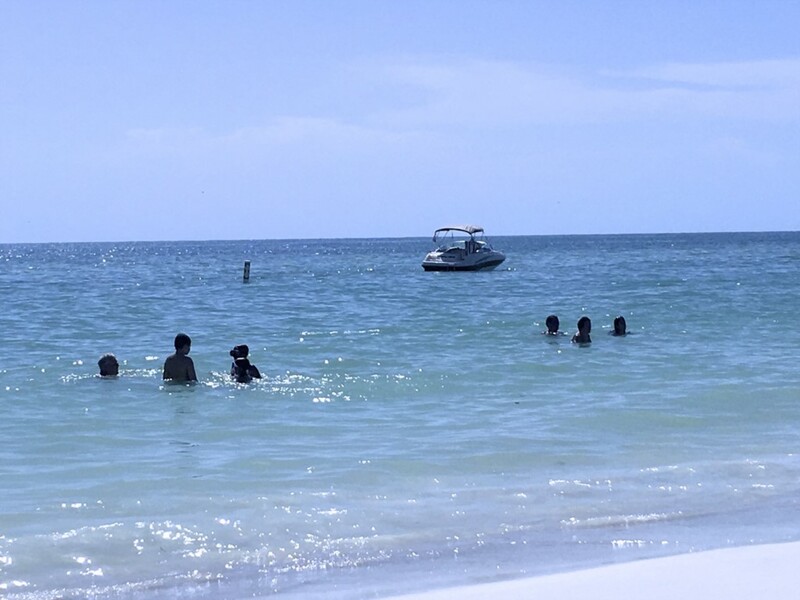 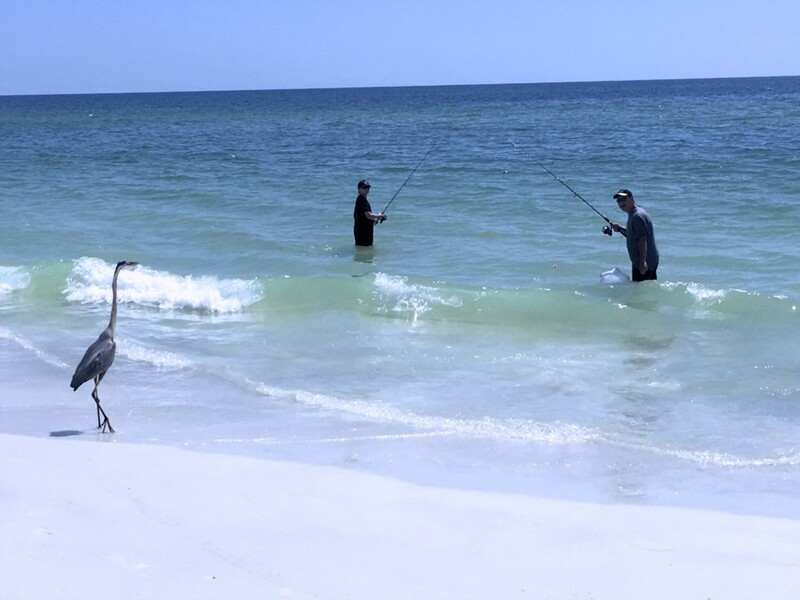 People who vacation on Anna Maria Island keep coming back year after year.